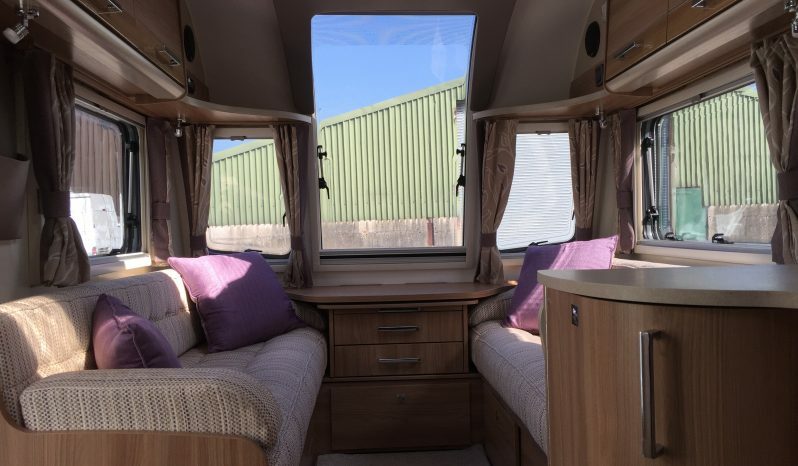 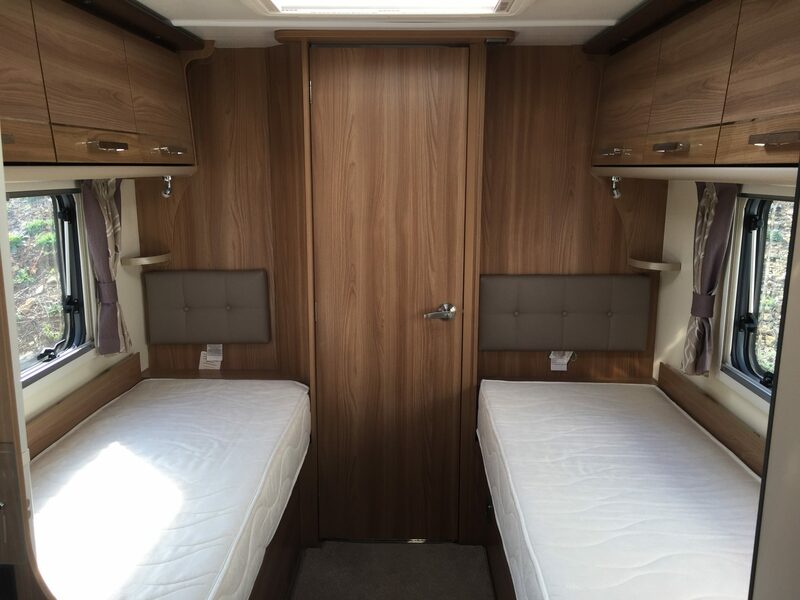 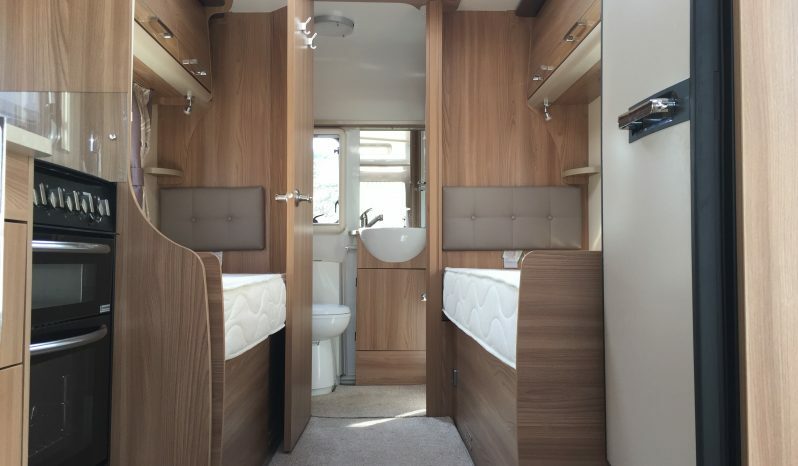 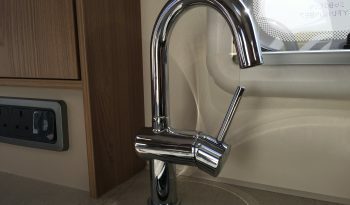 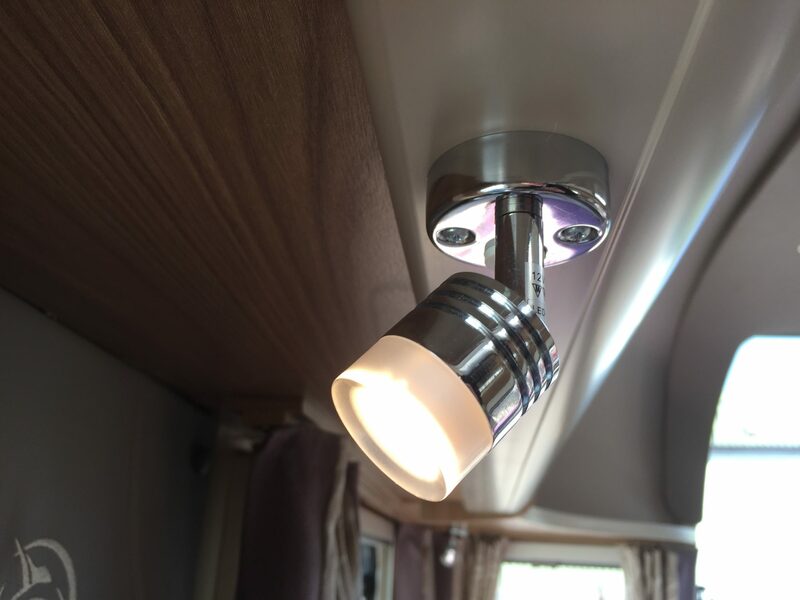 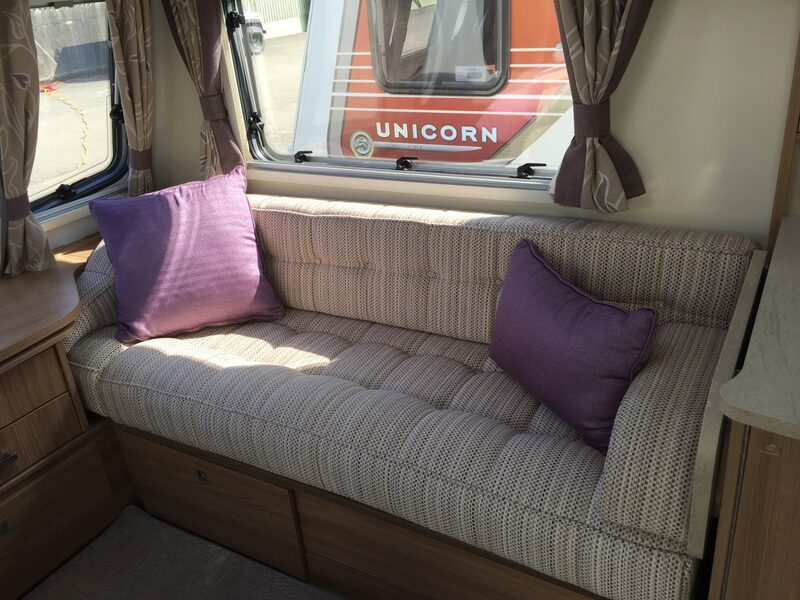 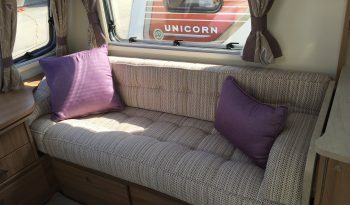 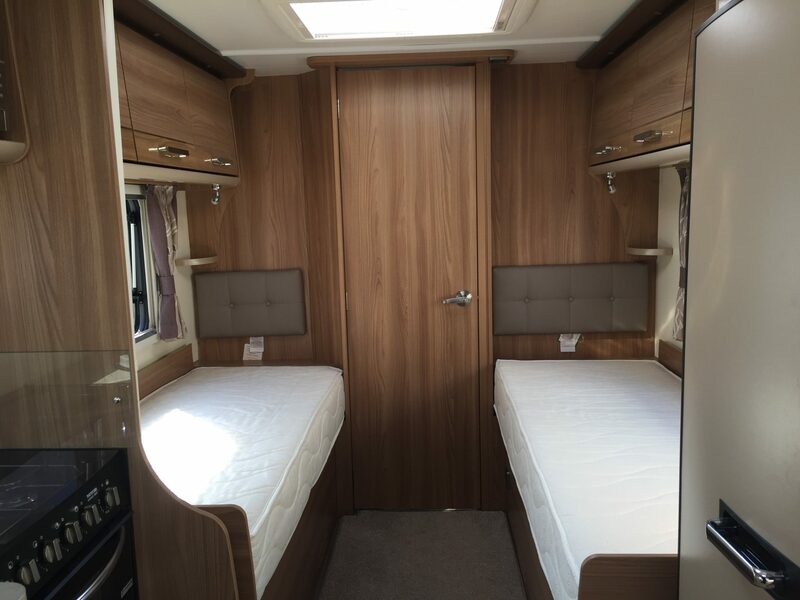 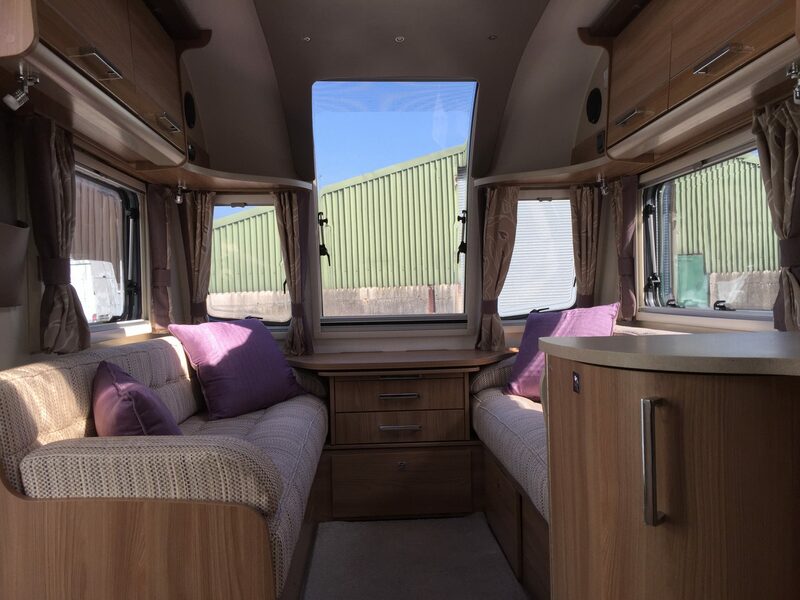 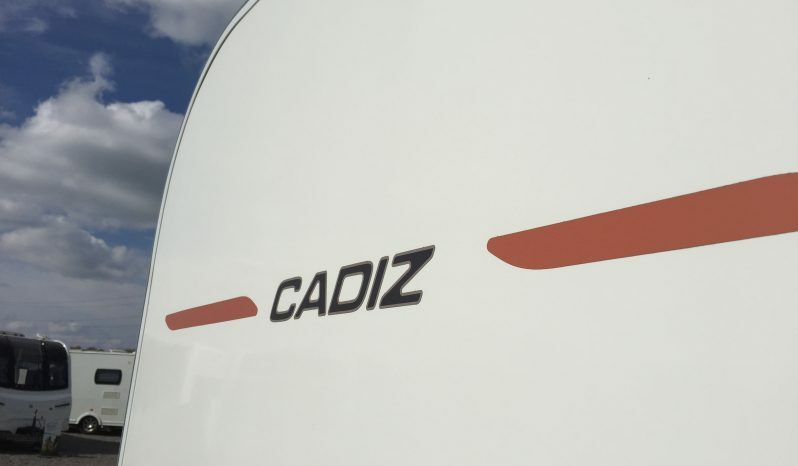 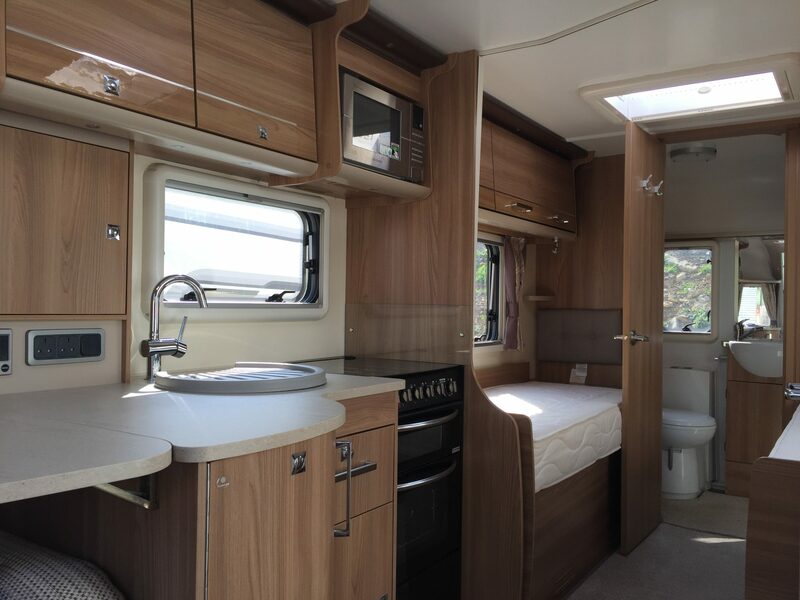 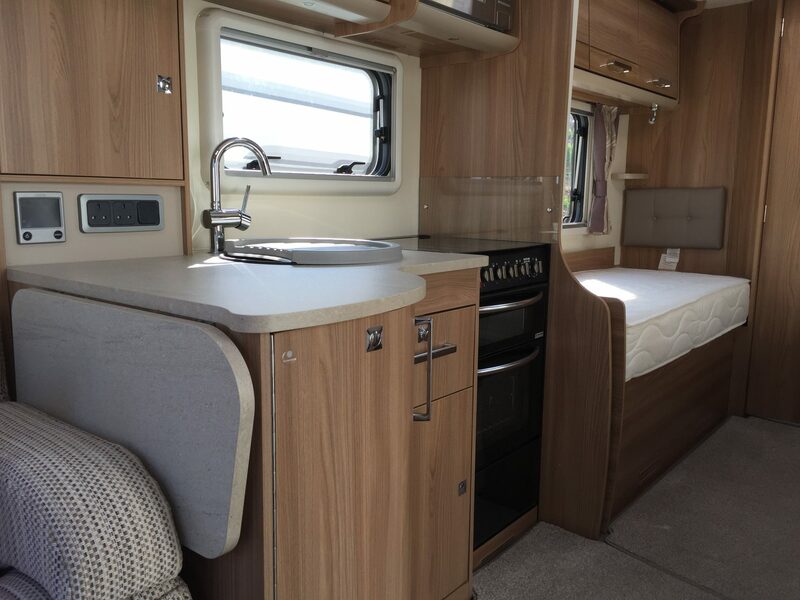 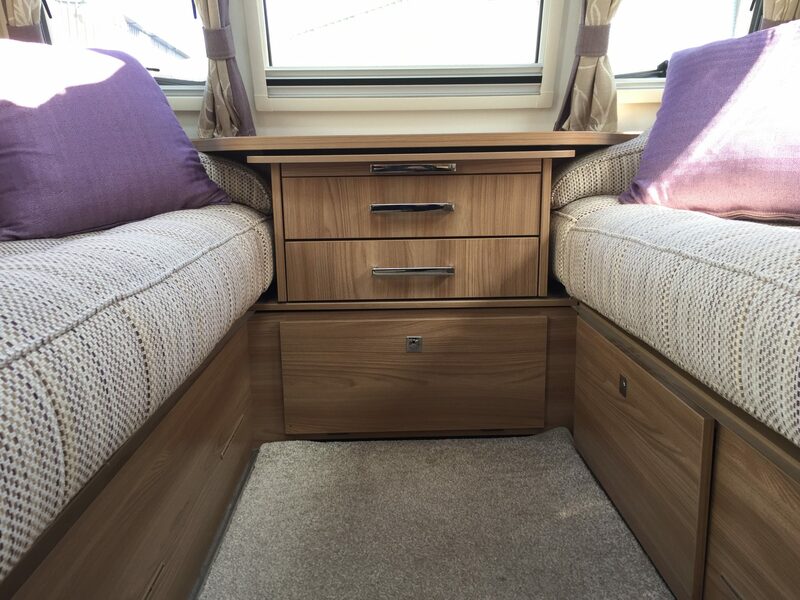 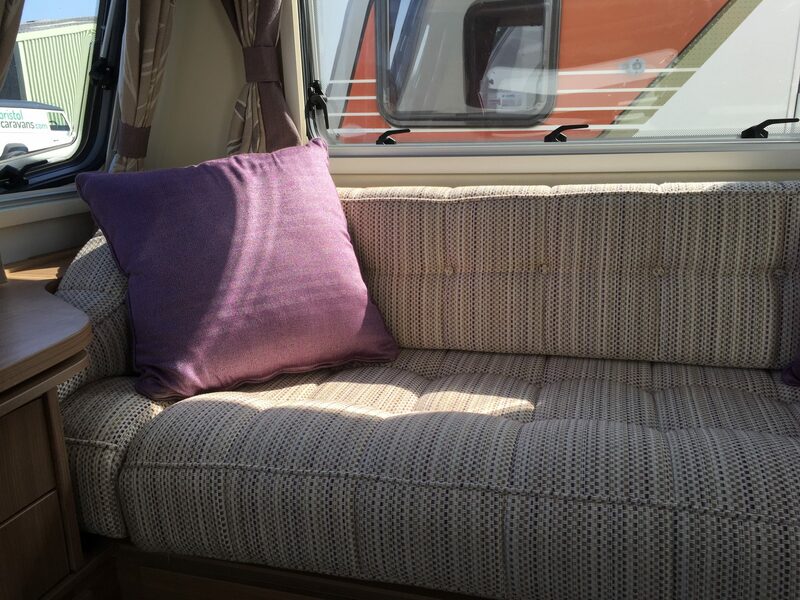 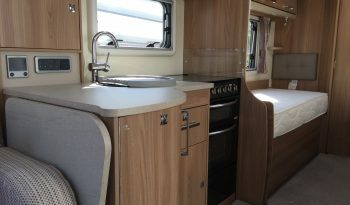 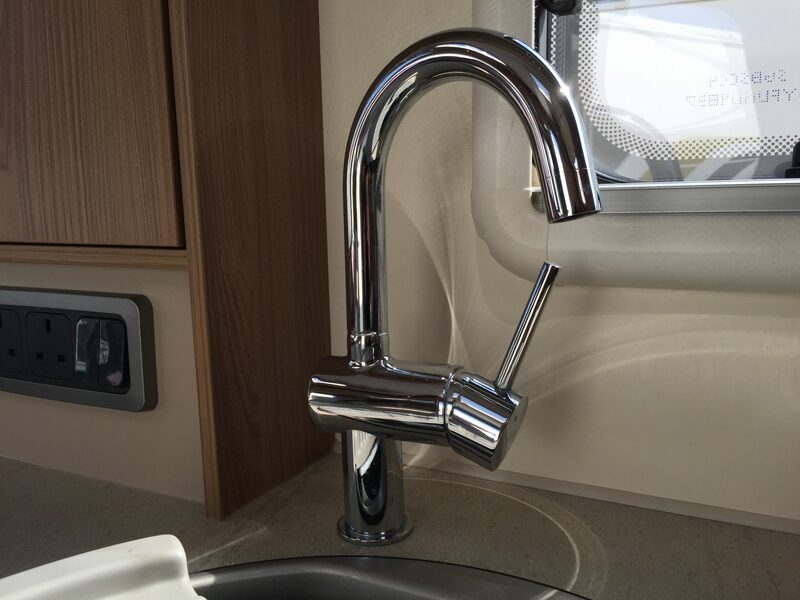 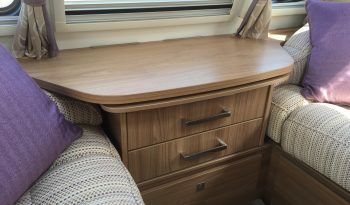 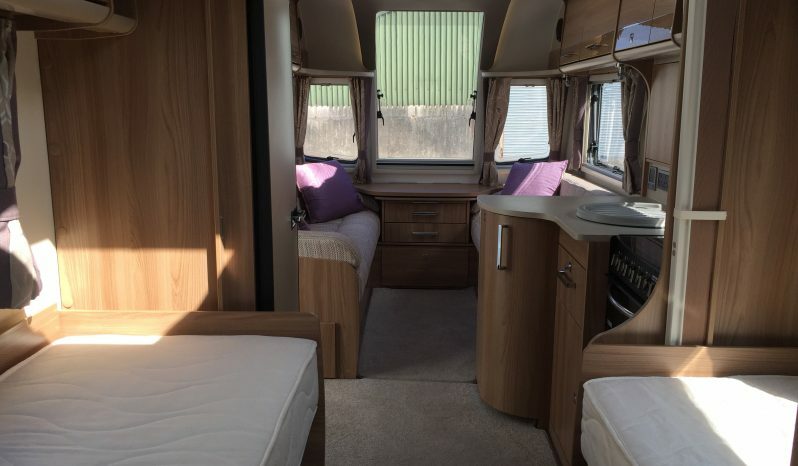 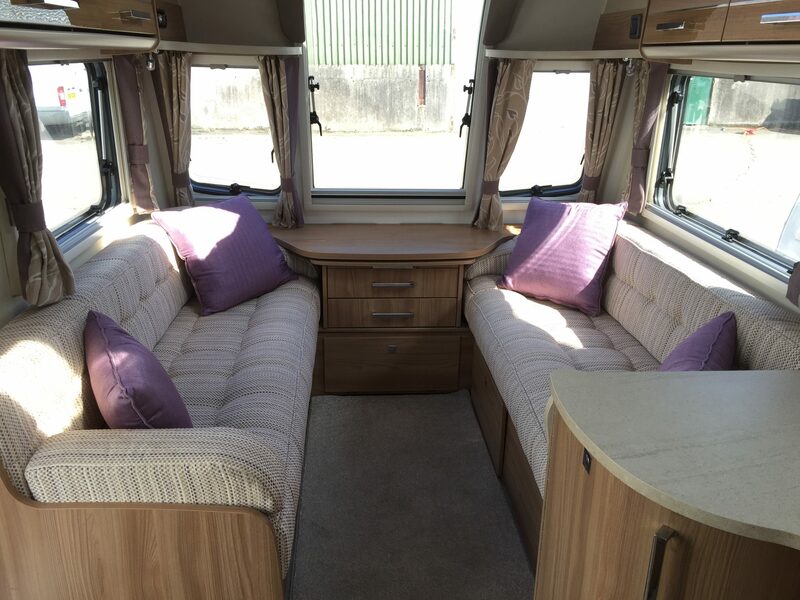 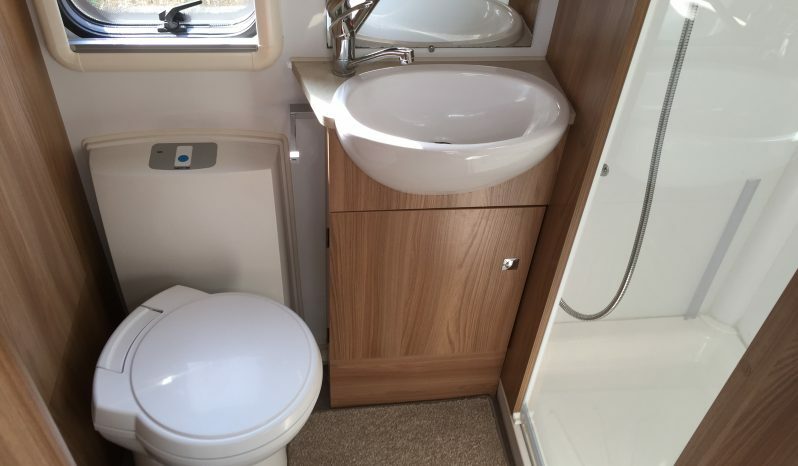 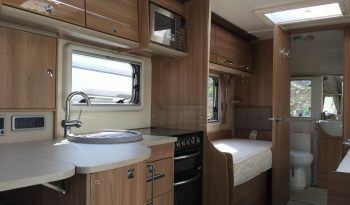 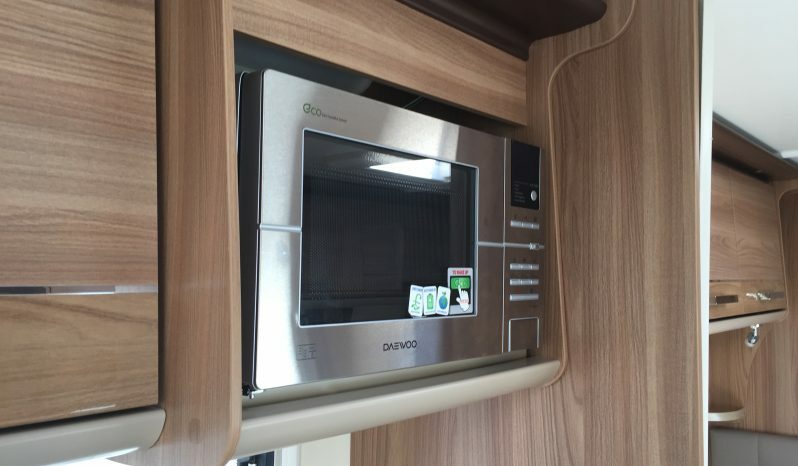 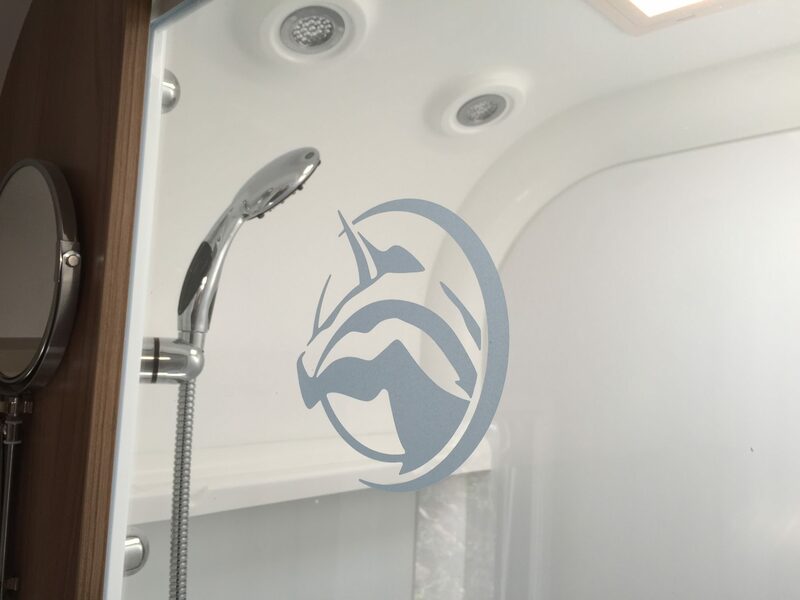 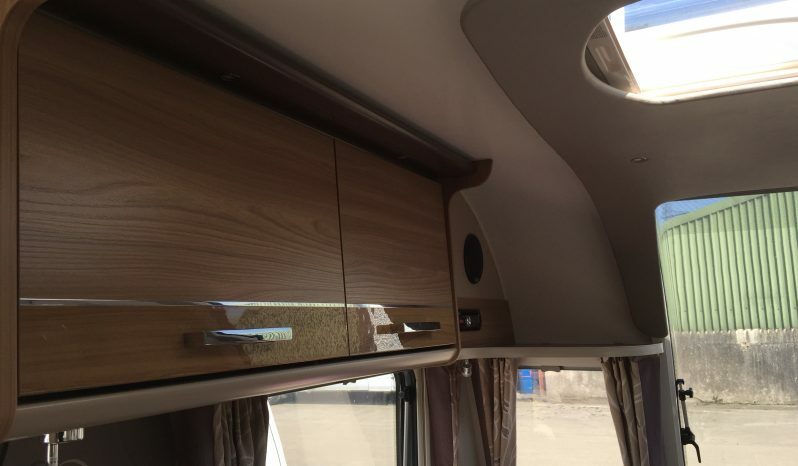 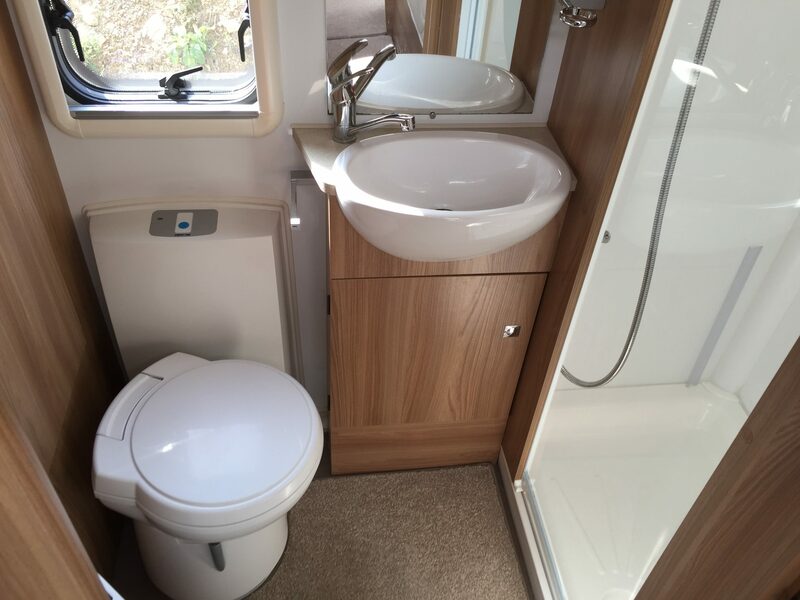 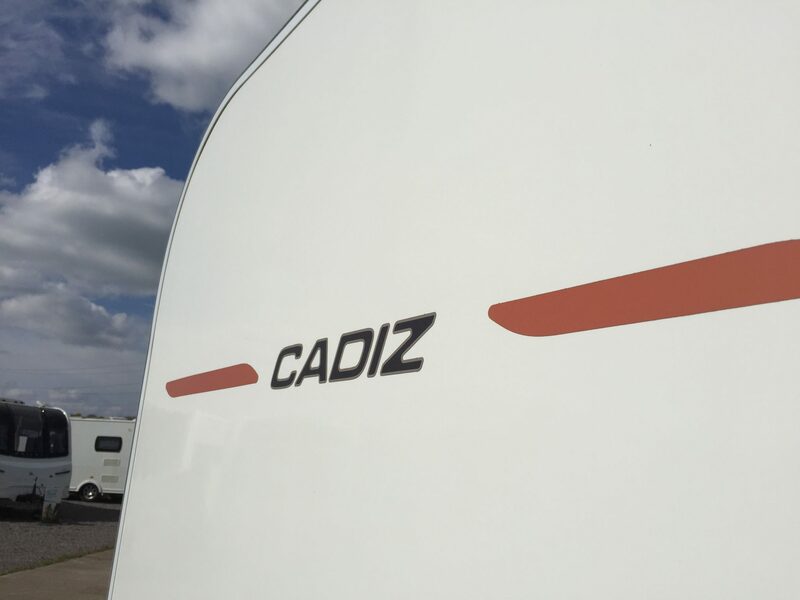 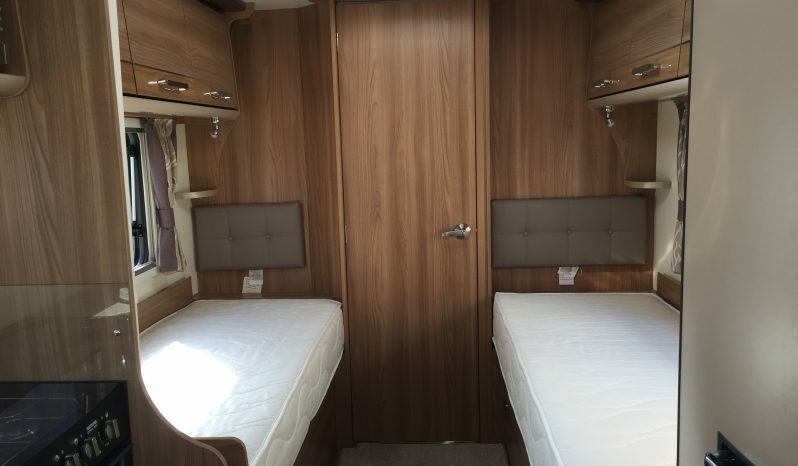 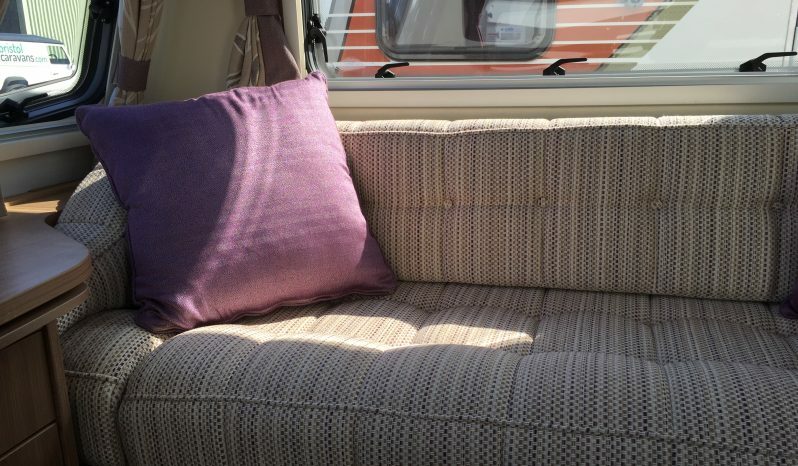 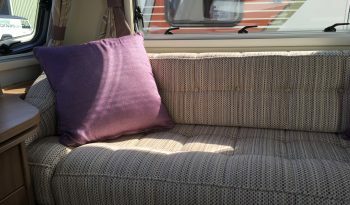 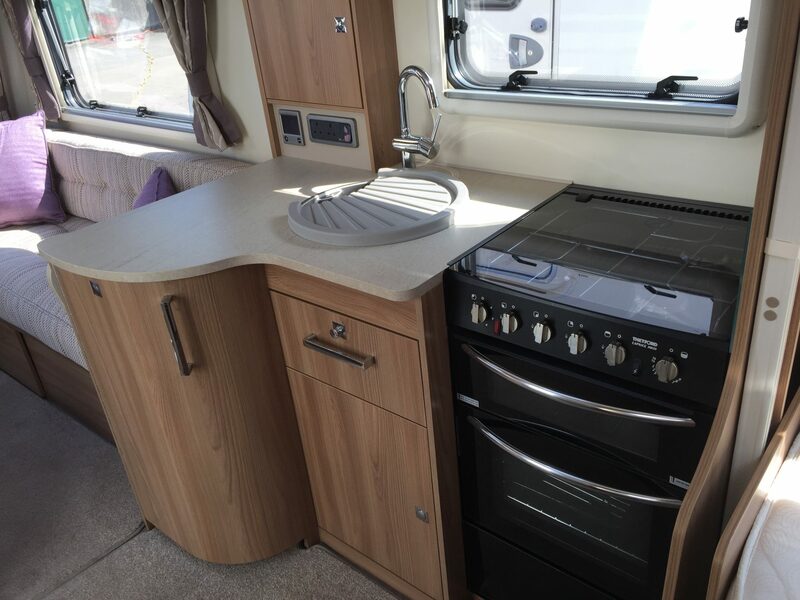 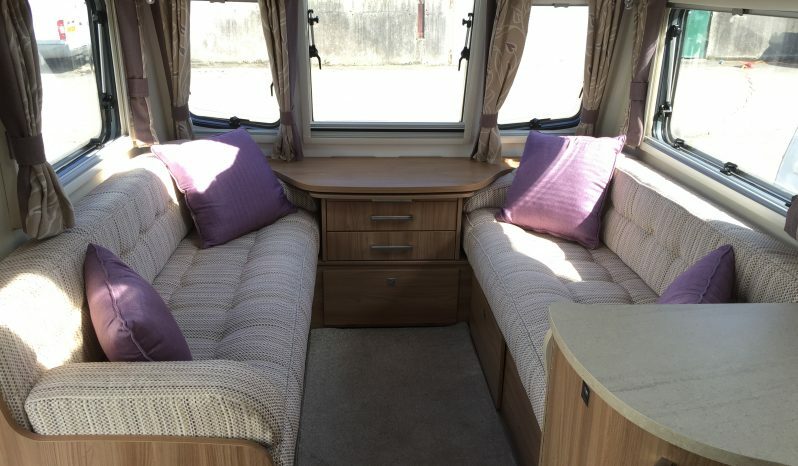 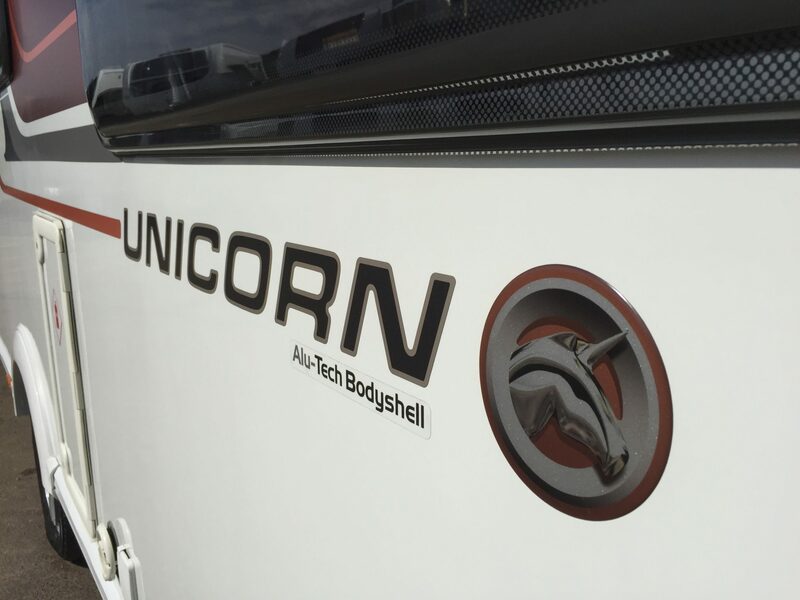 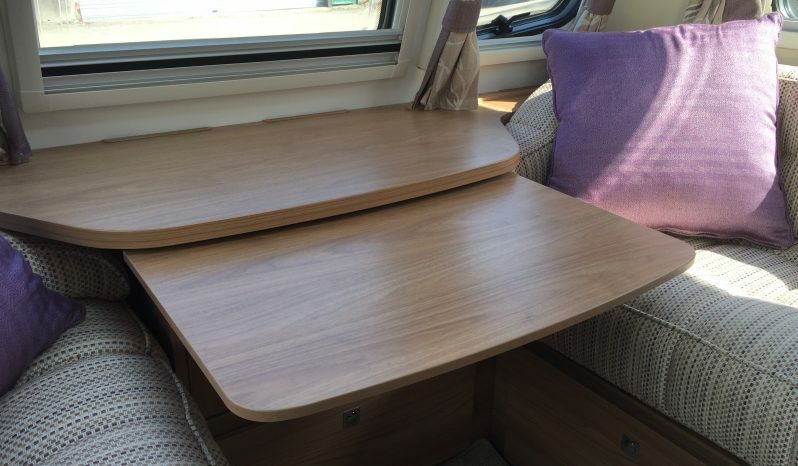 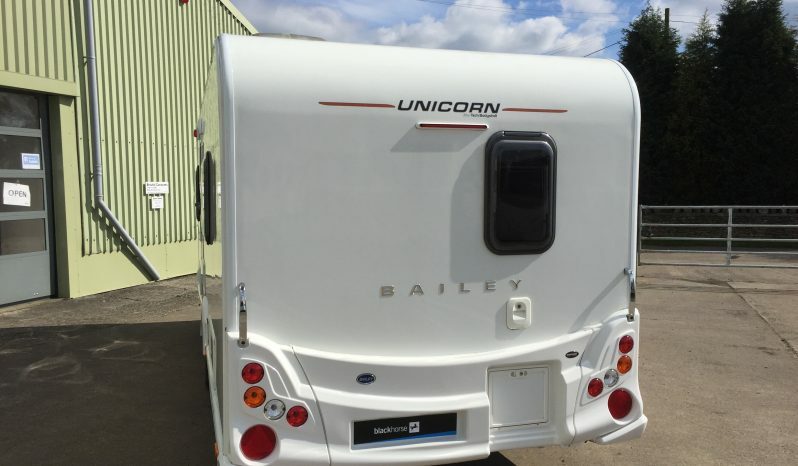 2015 Bailey Unicorn S3 Cadiz – 4 Berth Luxury touring. 1 Owner from new. 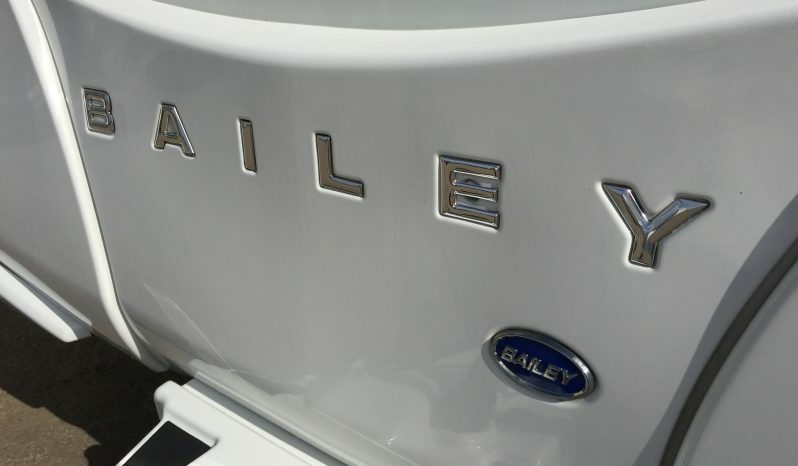 Full Bailey Service History. 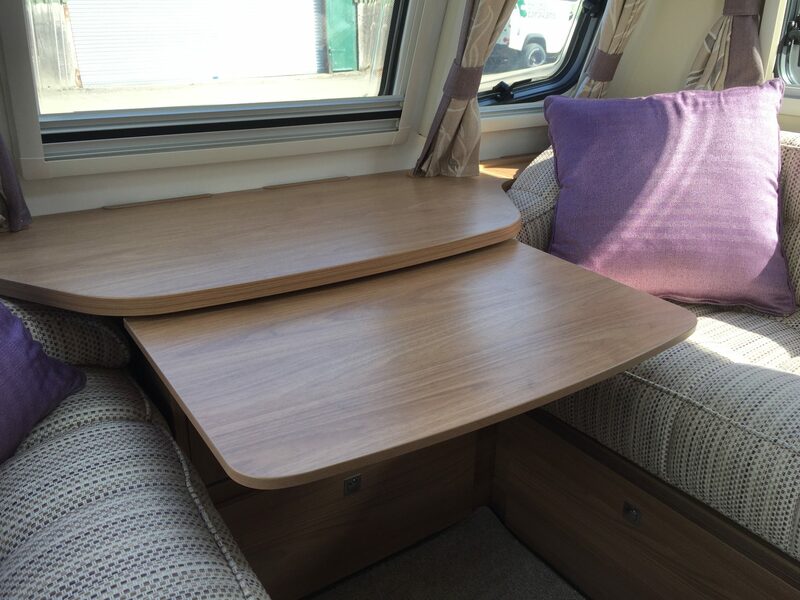 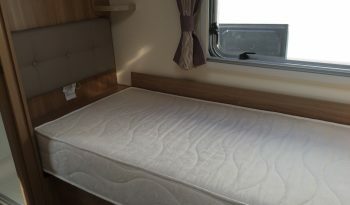 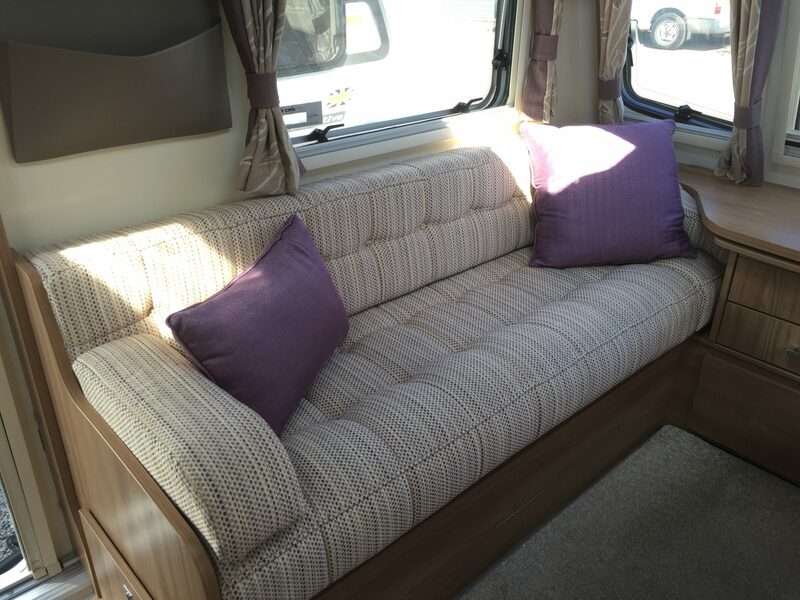 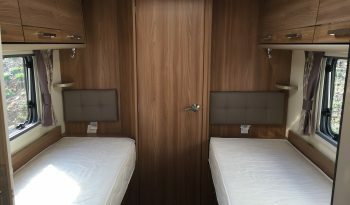 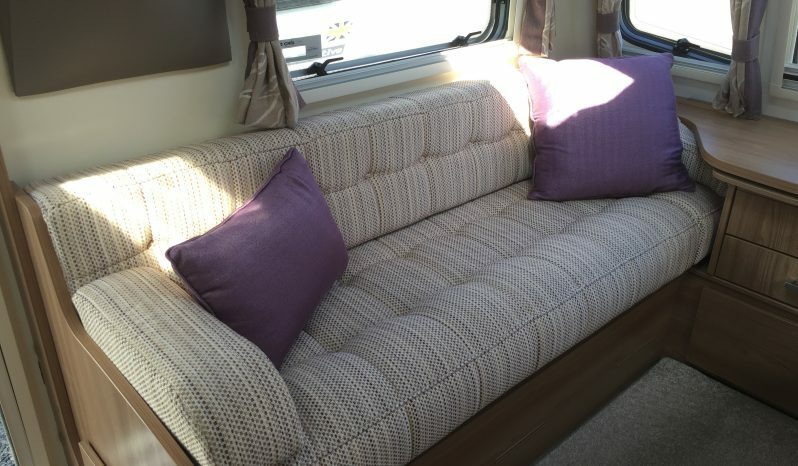 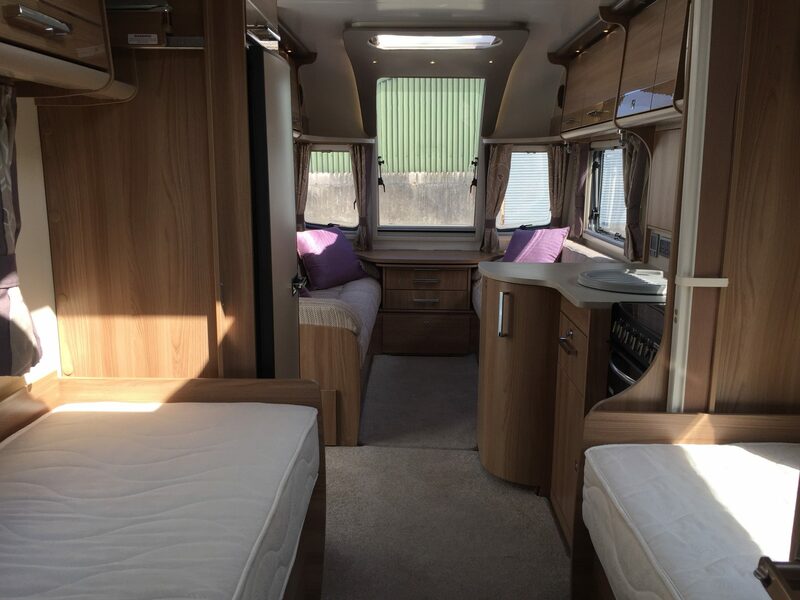 4 Berth, Twin Single beds, End Washroom, Separate Shower, In Excellent Condition. 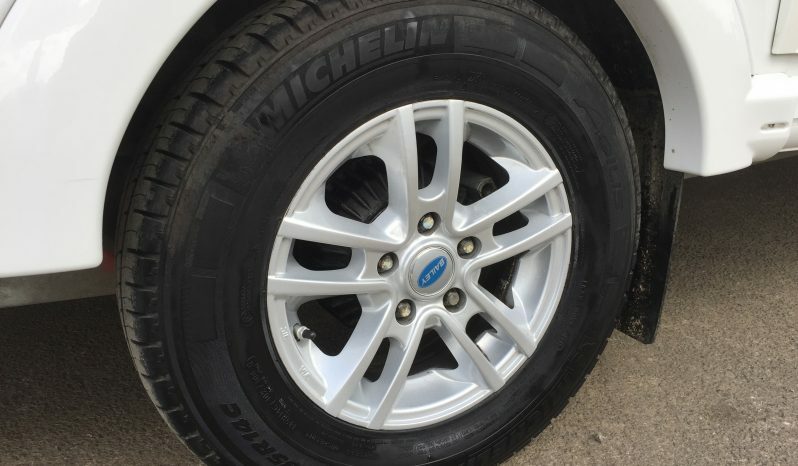 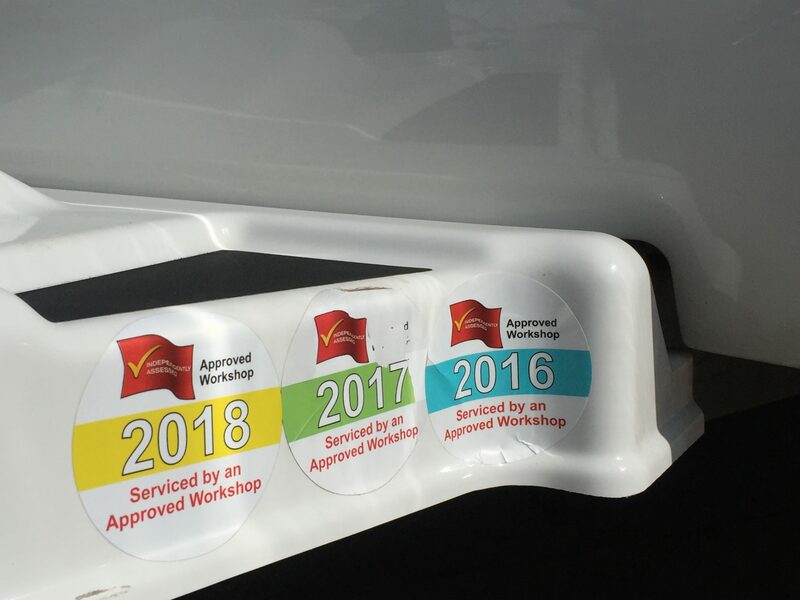 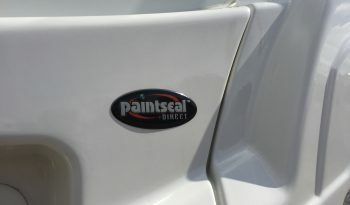 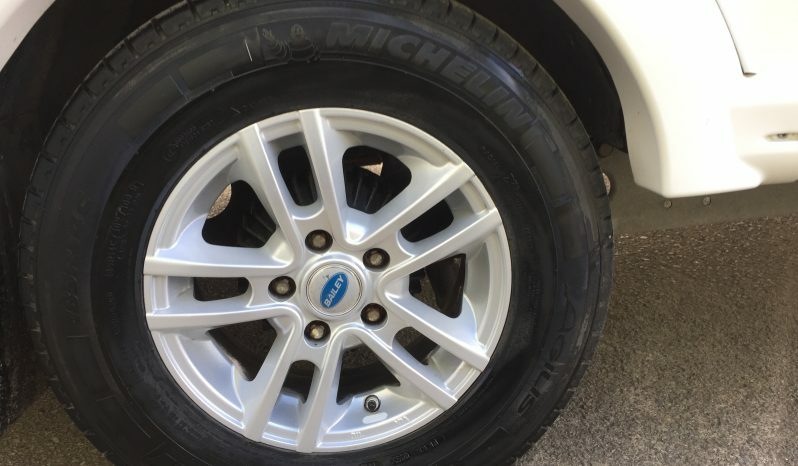 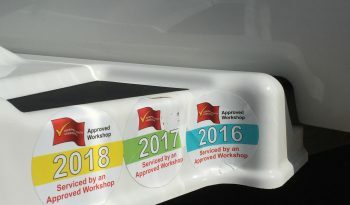 It benefits from having the Paint Seal paint protection and upholstery treatment from new. 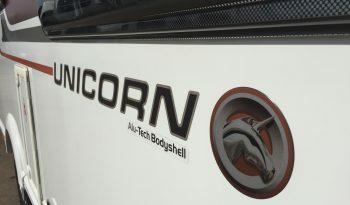 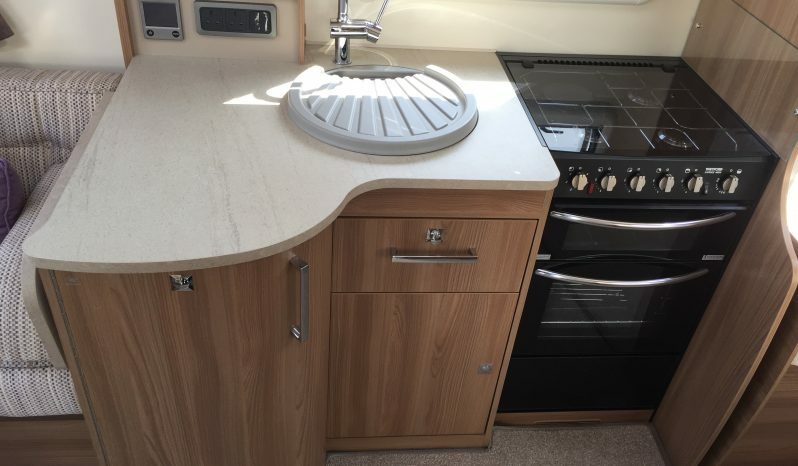 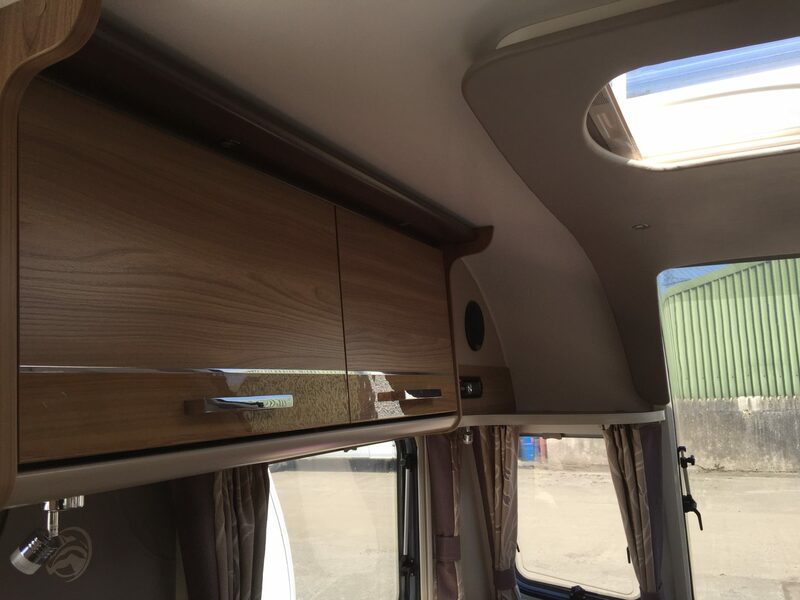 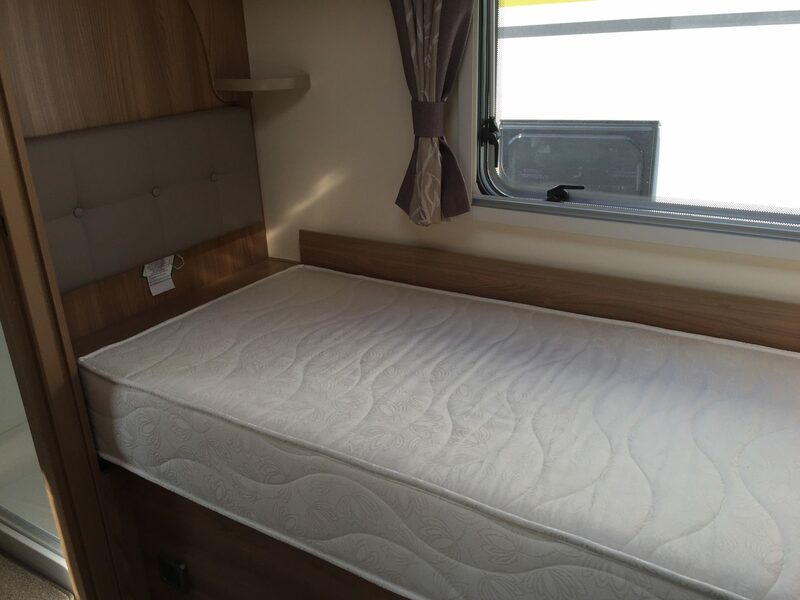 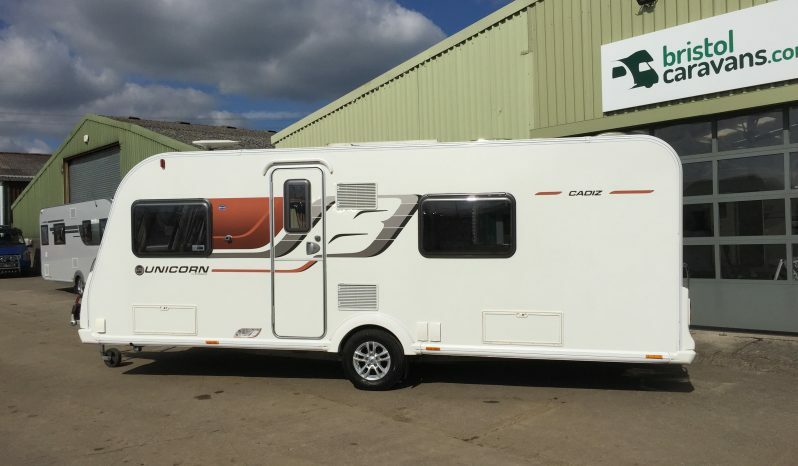 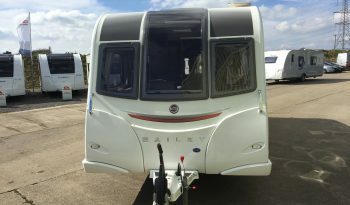 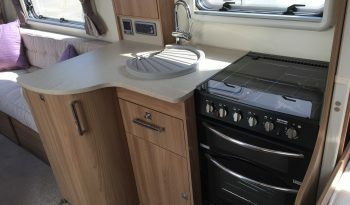 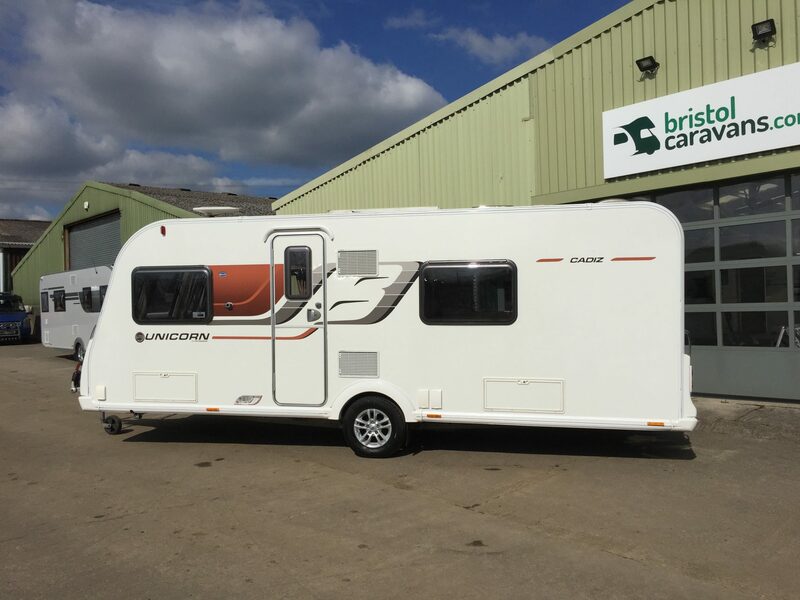 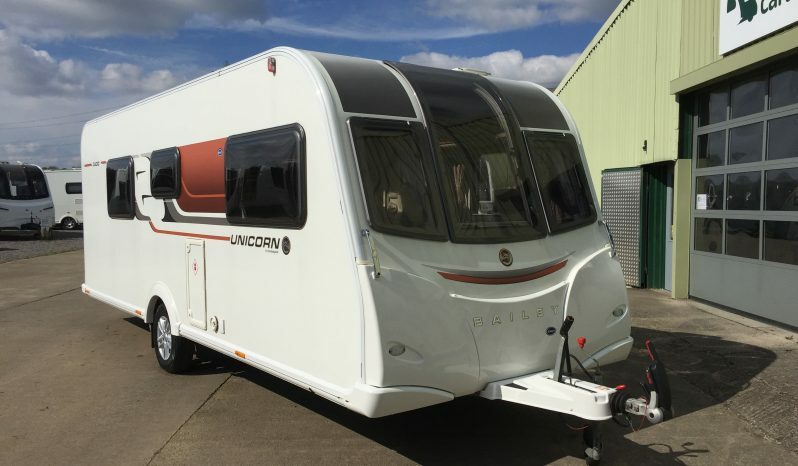 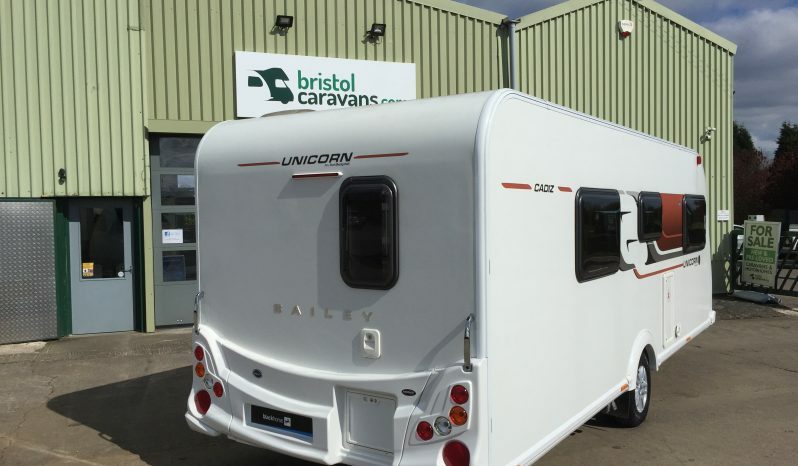 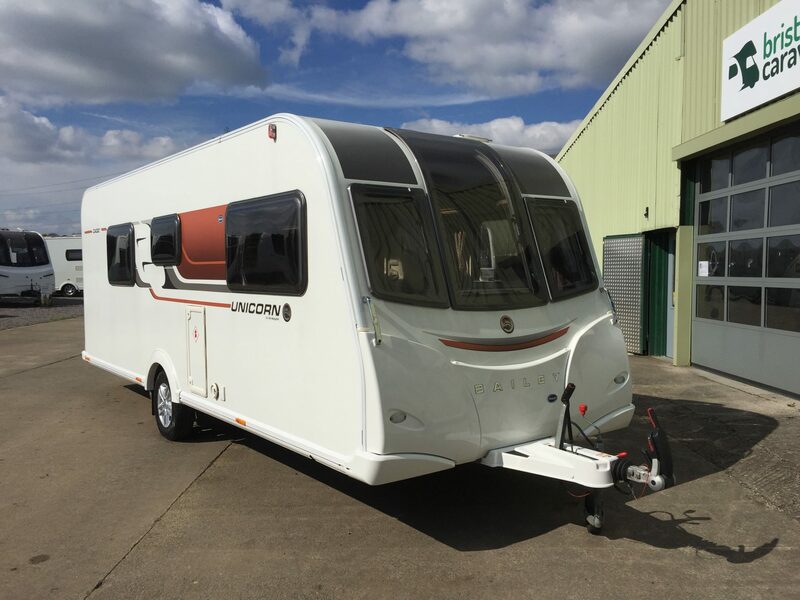 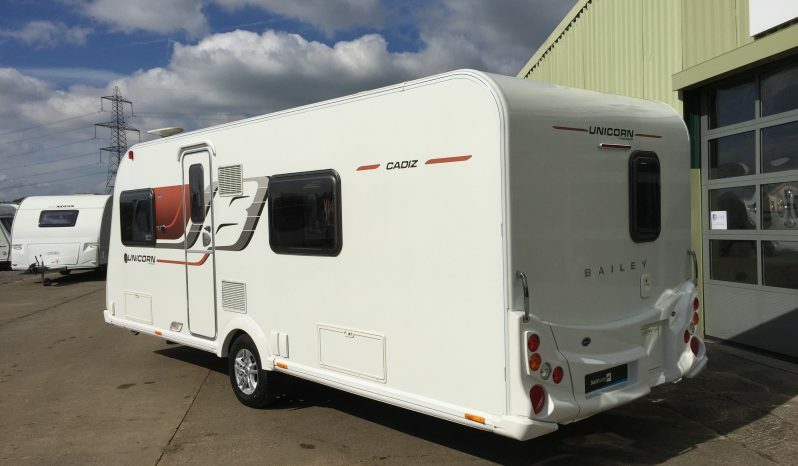 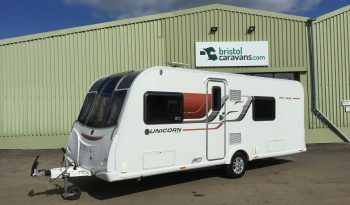 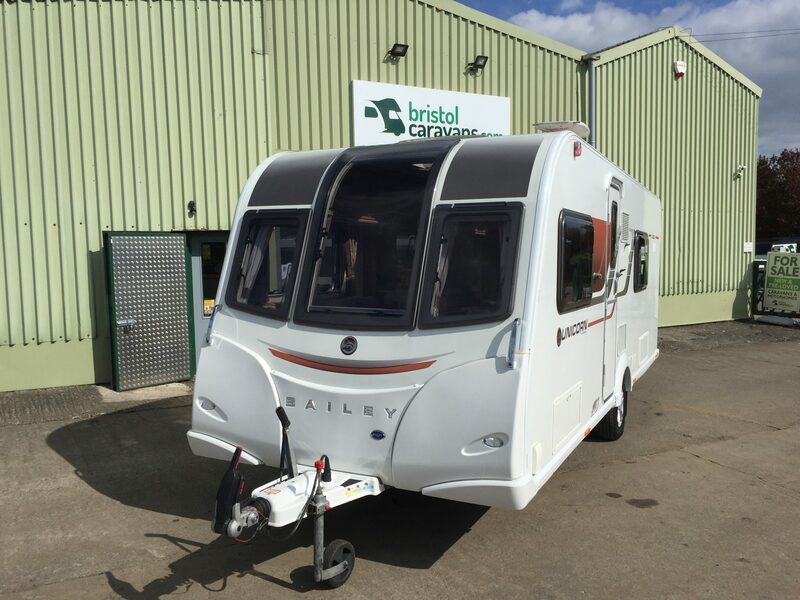 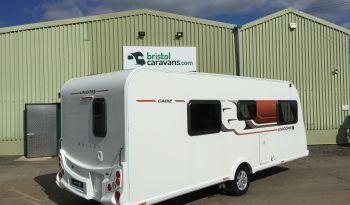 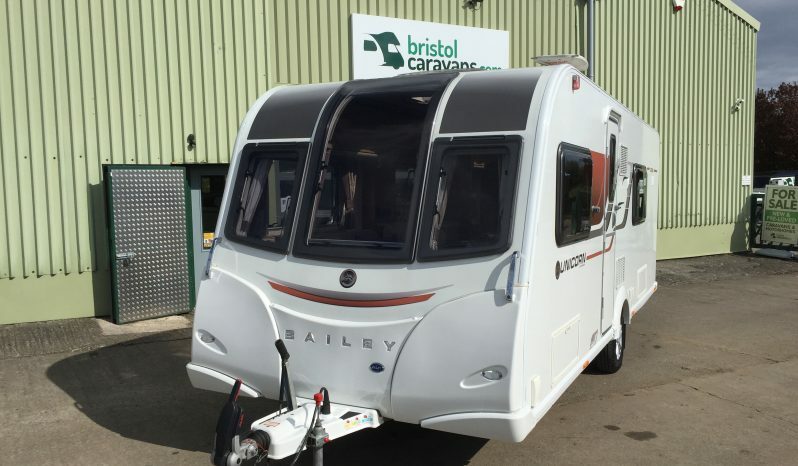 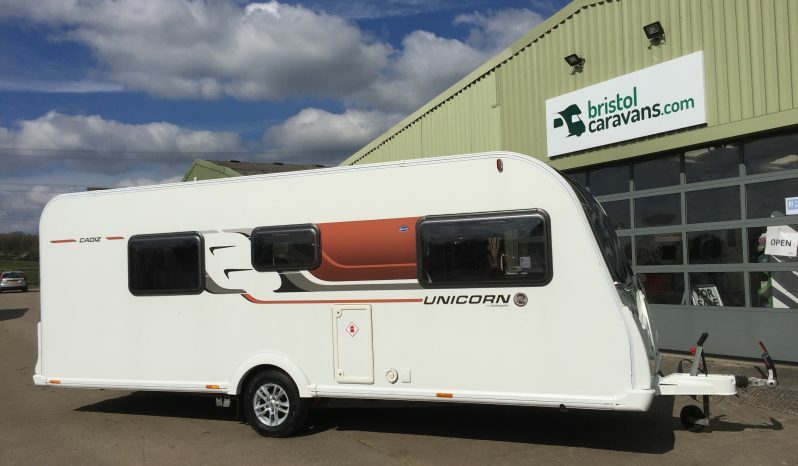 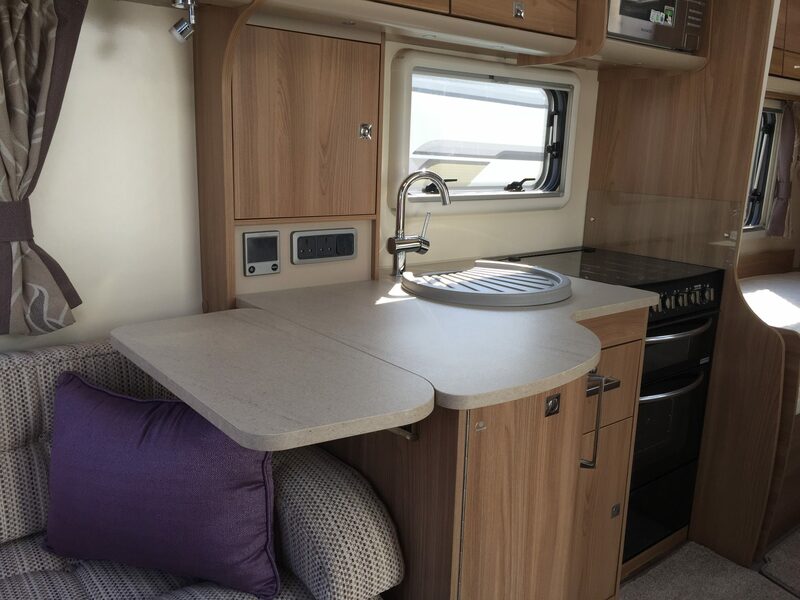 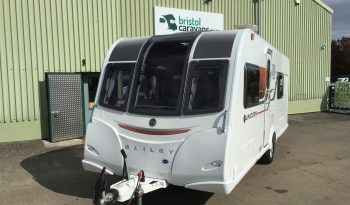 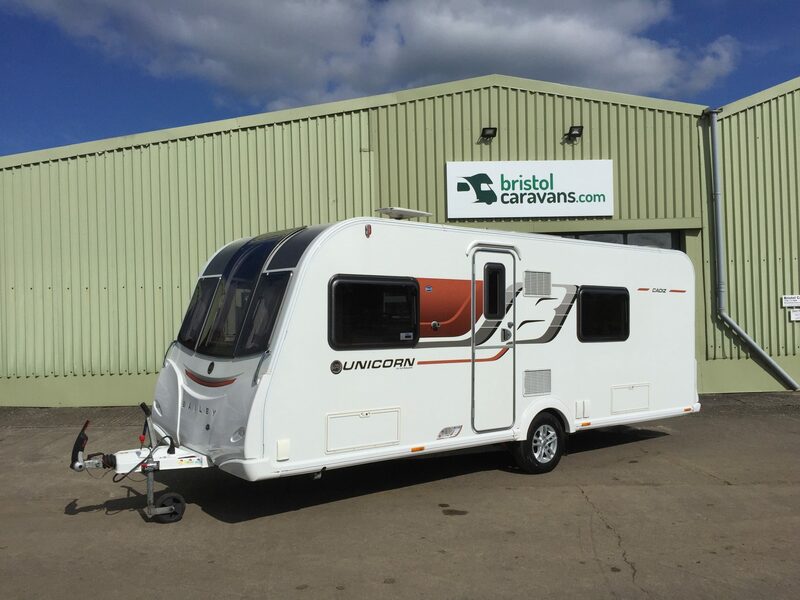 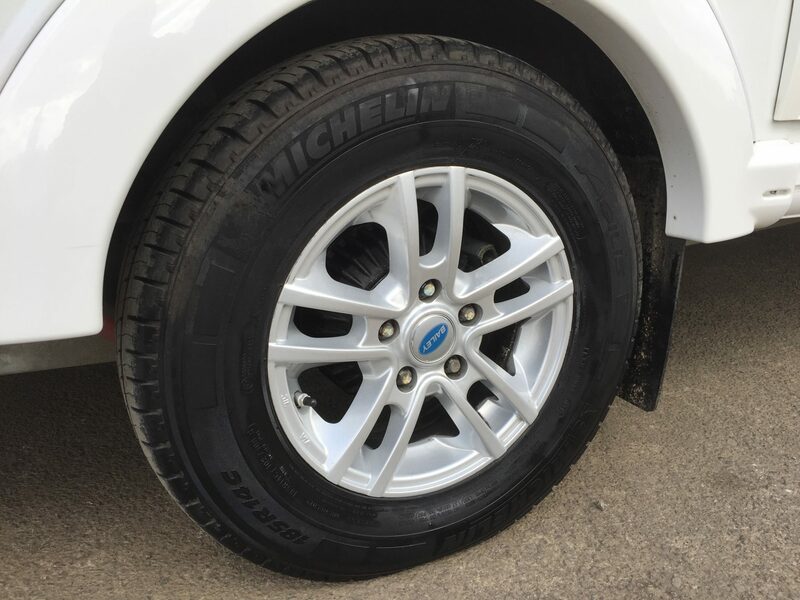 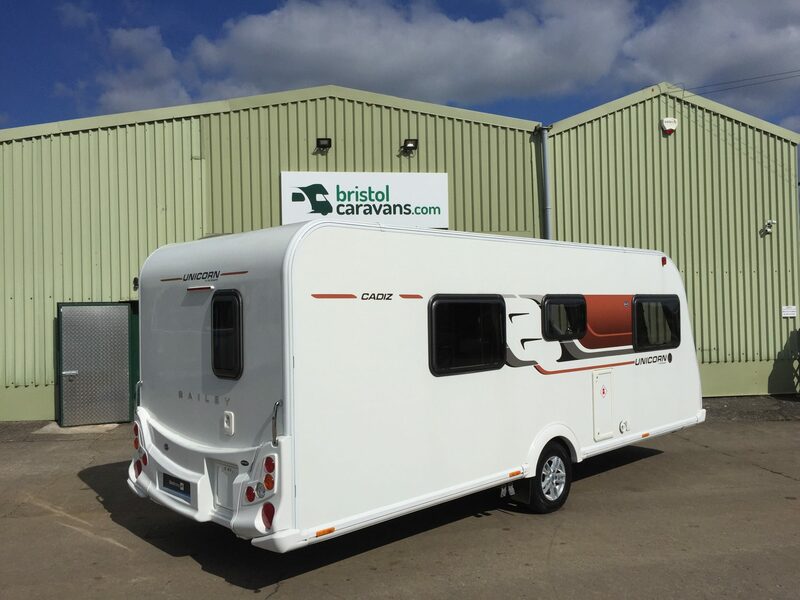 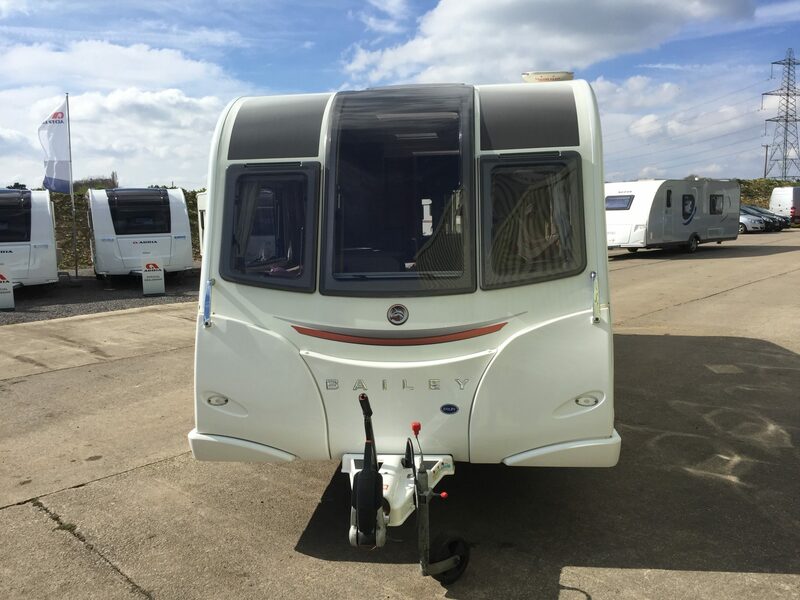 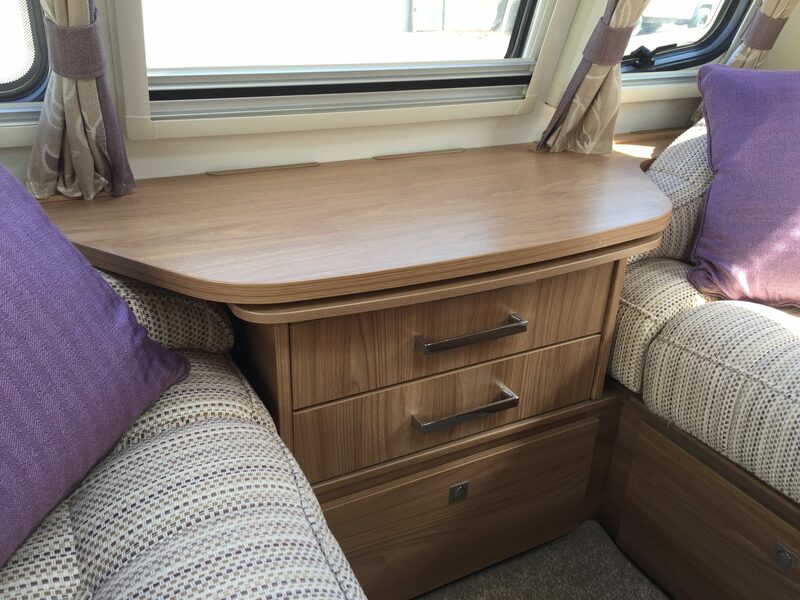 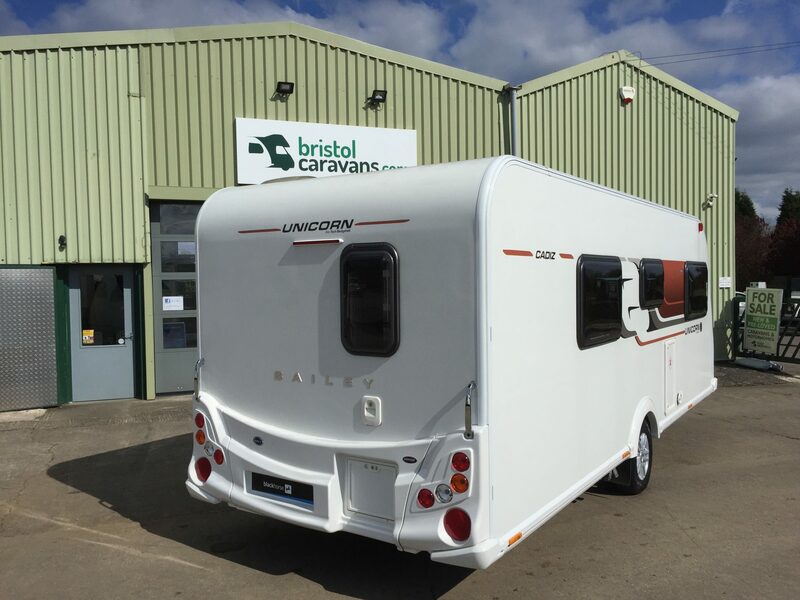 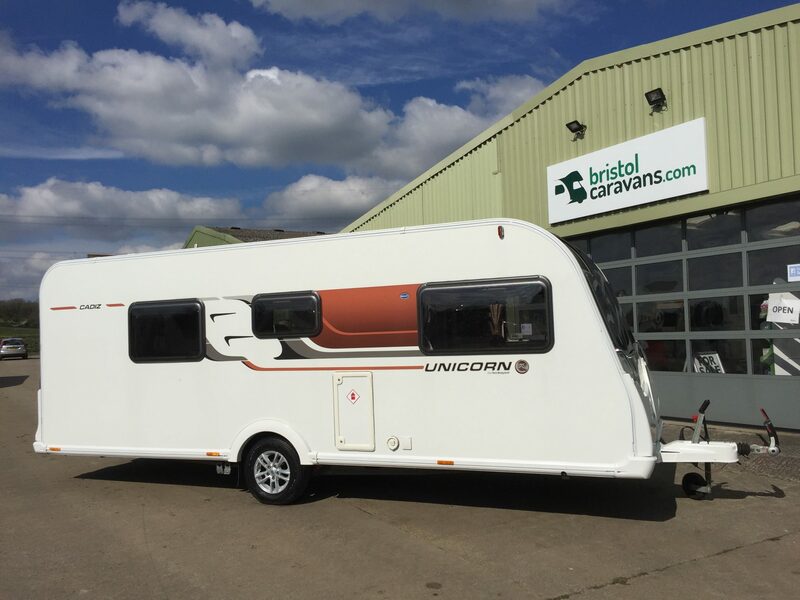 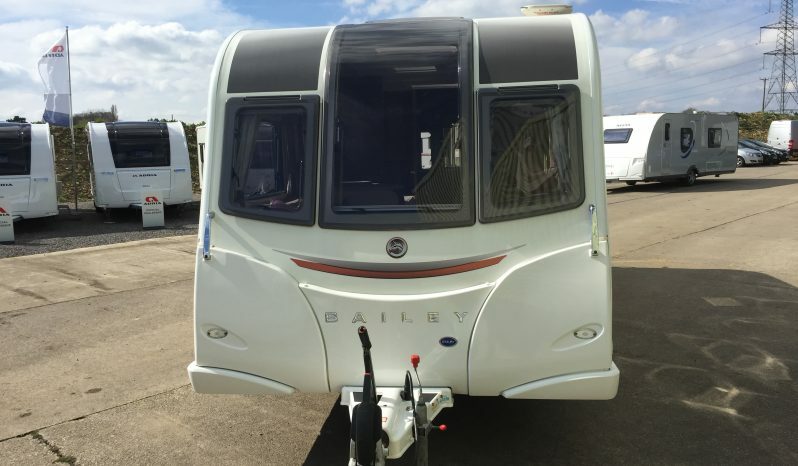 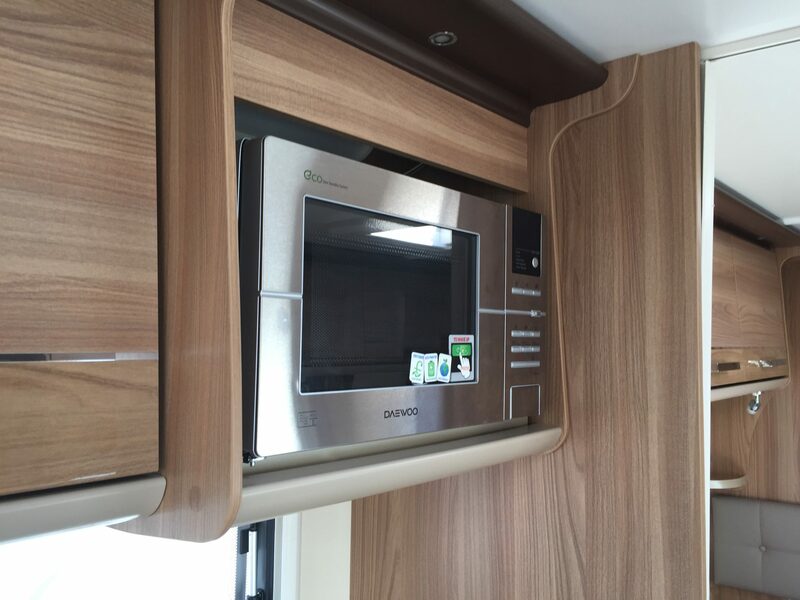 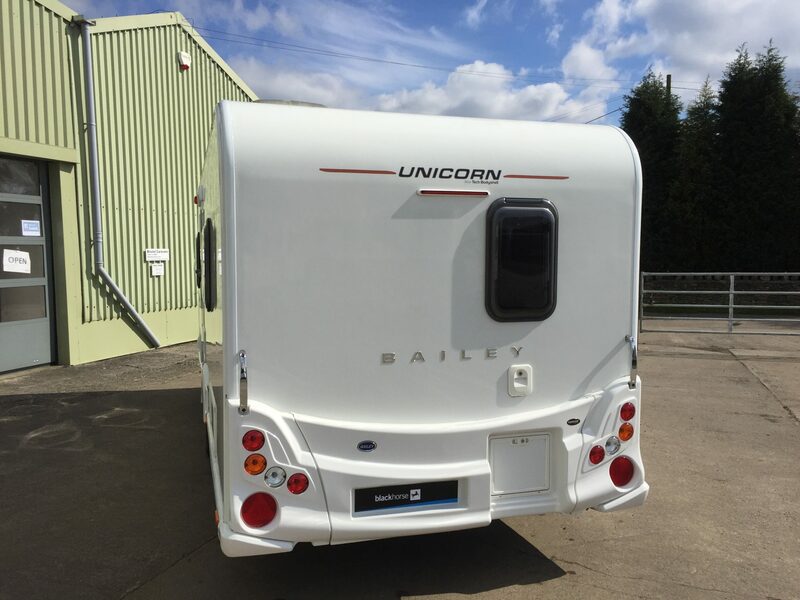 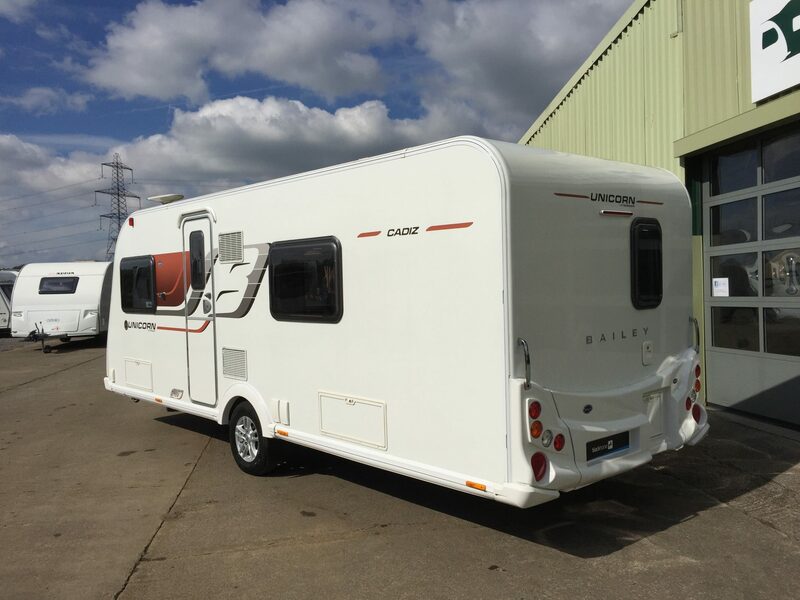 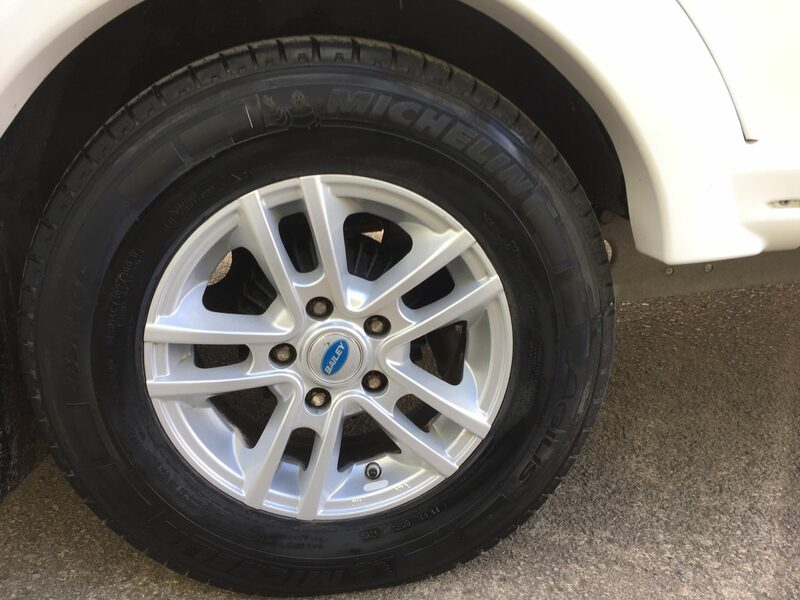 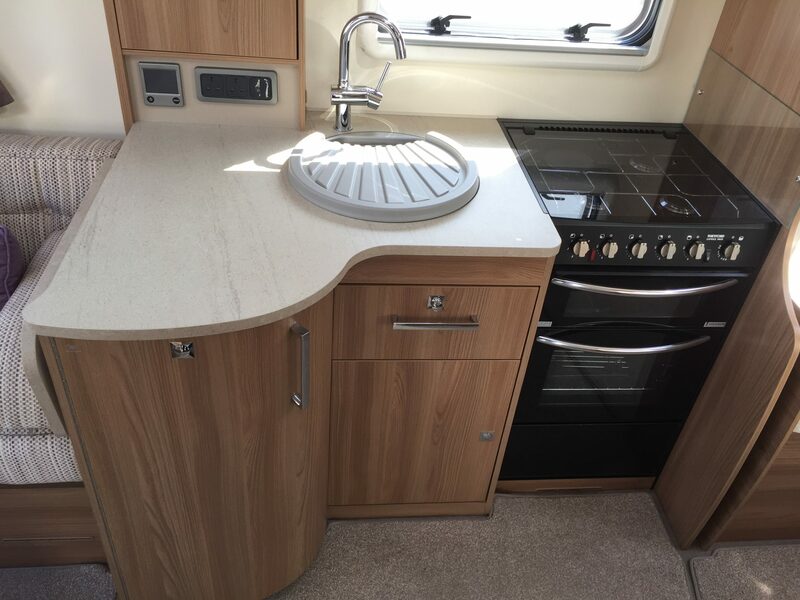 2015 Bailey Unicorn S3 Cadiz, with GRP impact resistant outer skin. 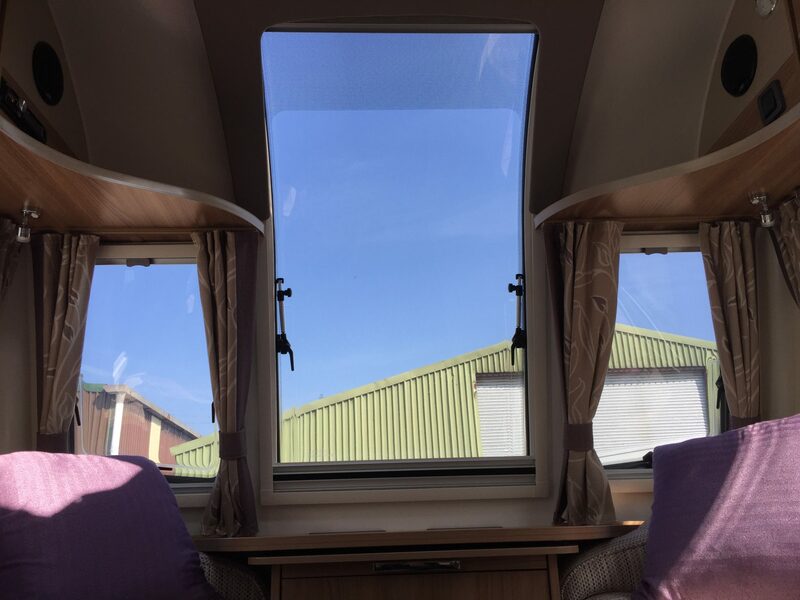 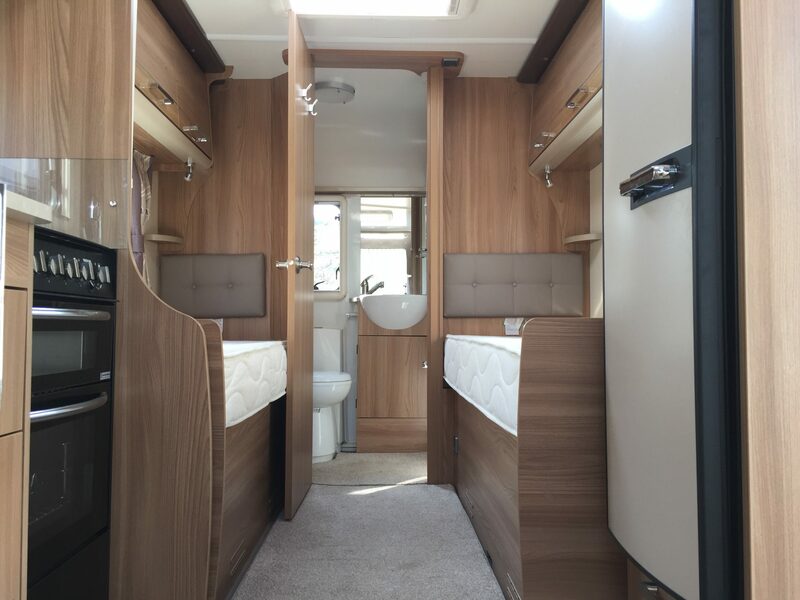 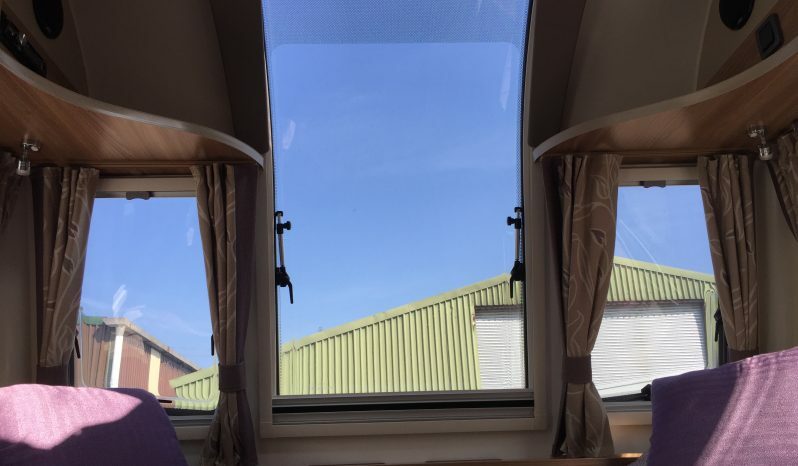 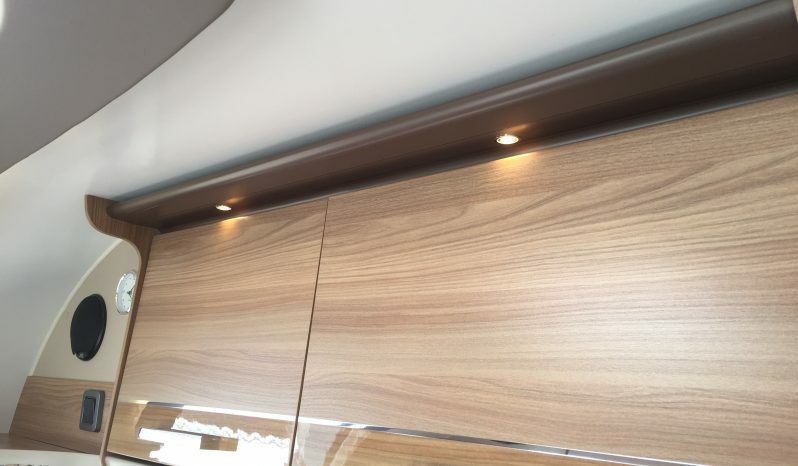 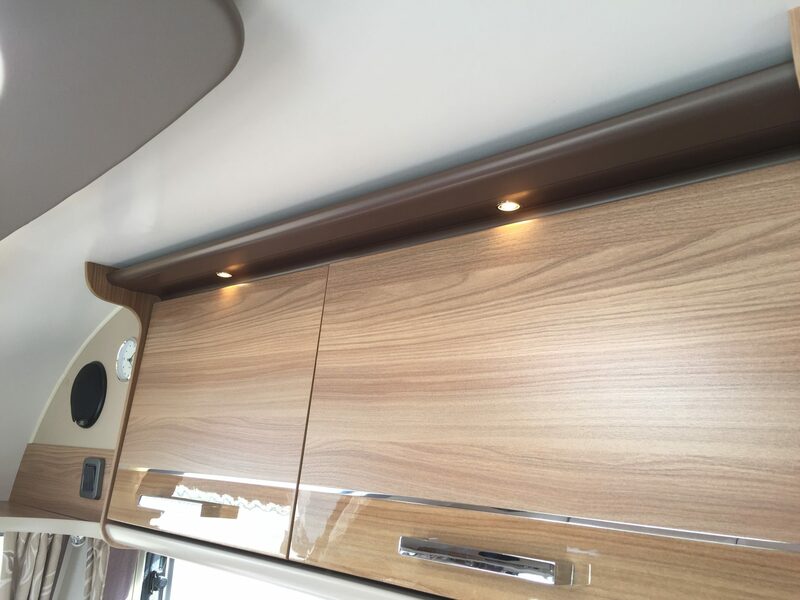 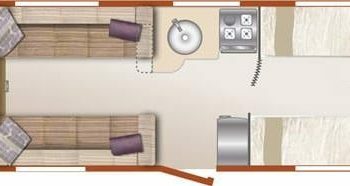 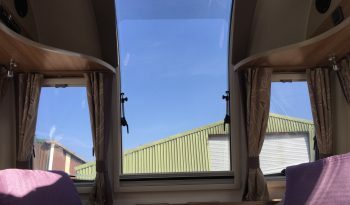 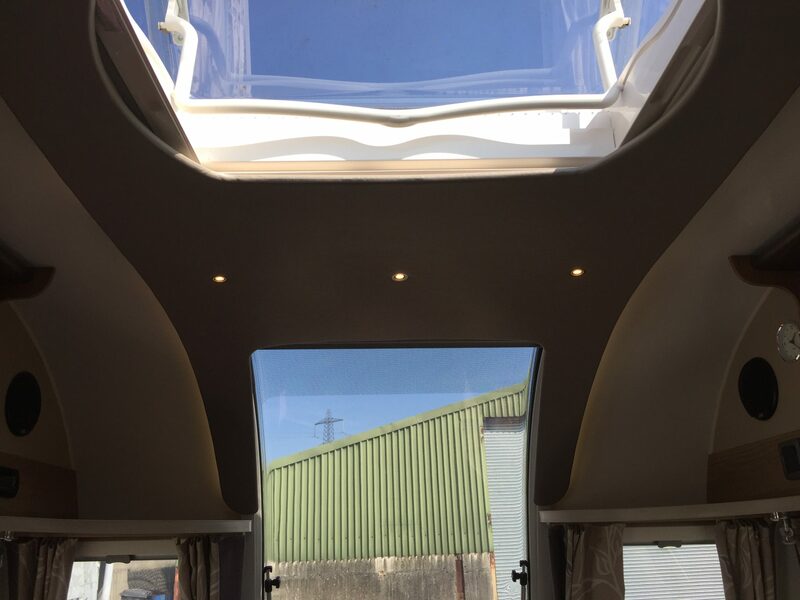 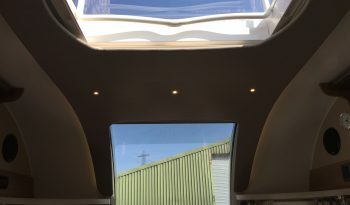 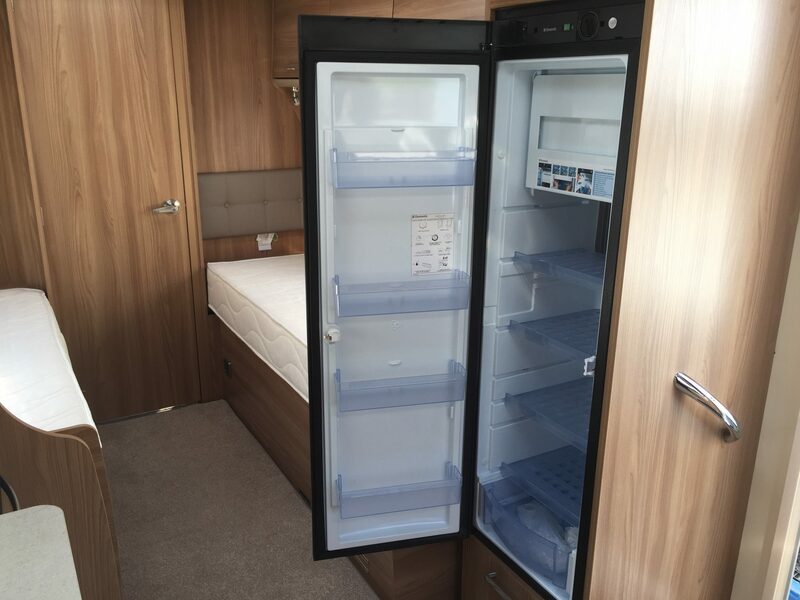 This model benefits form the large front panoramic sunroof, with the Italian design high gloss lockers adding to this appeal of this superb 4 berth caravan. 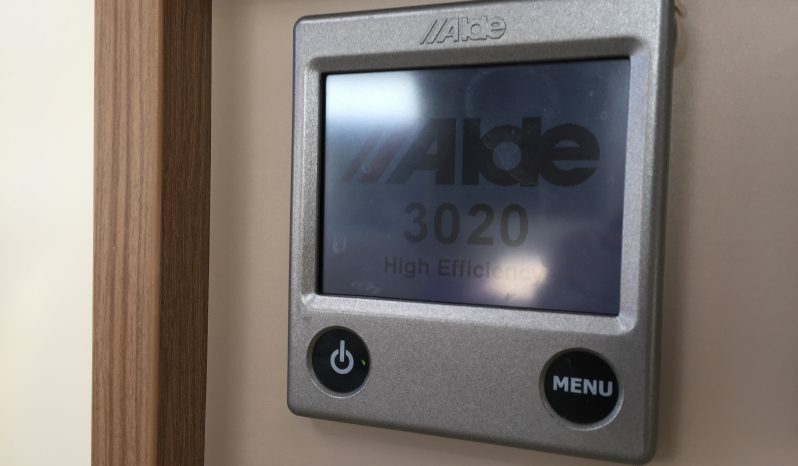 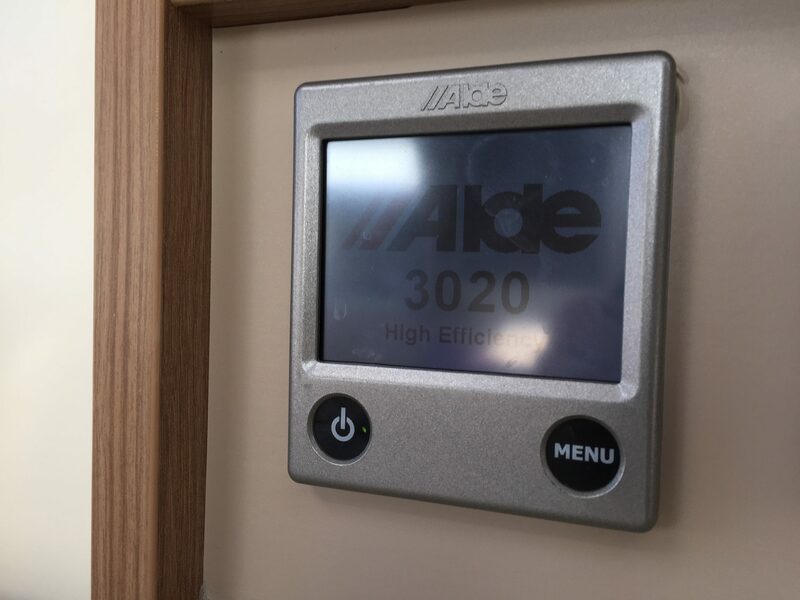 It boasts ALDE 3020 programmable Wet Central heating system with combined water heating using Gas/230v operation. 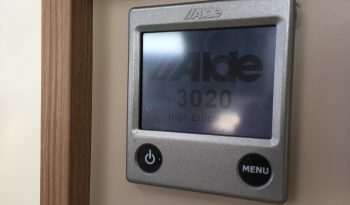 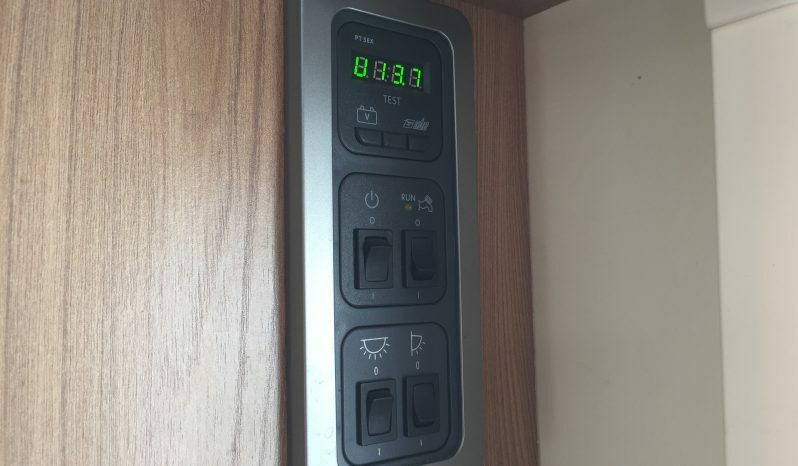 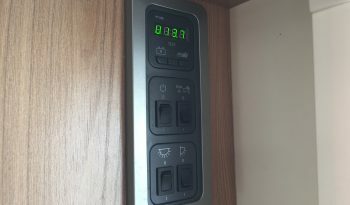 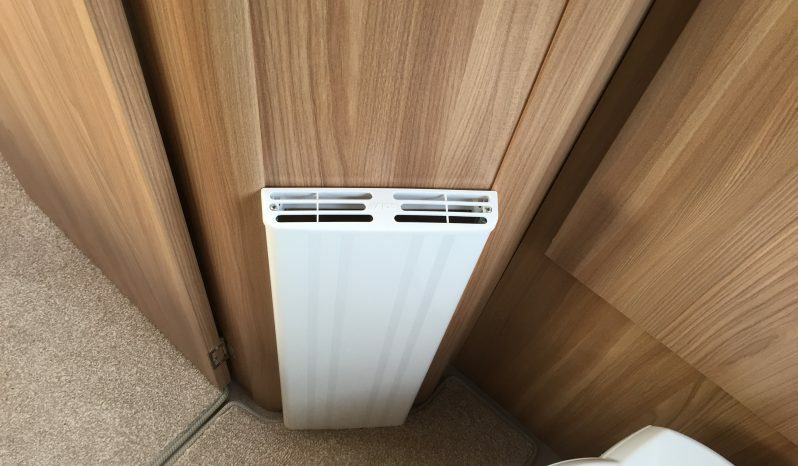 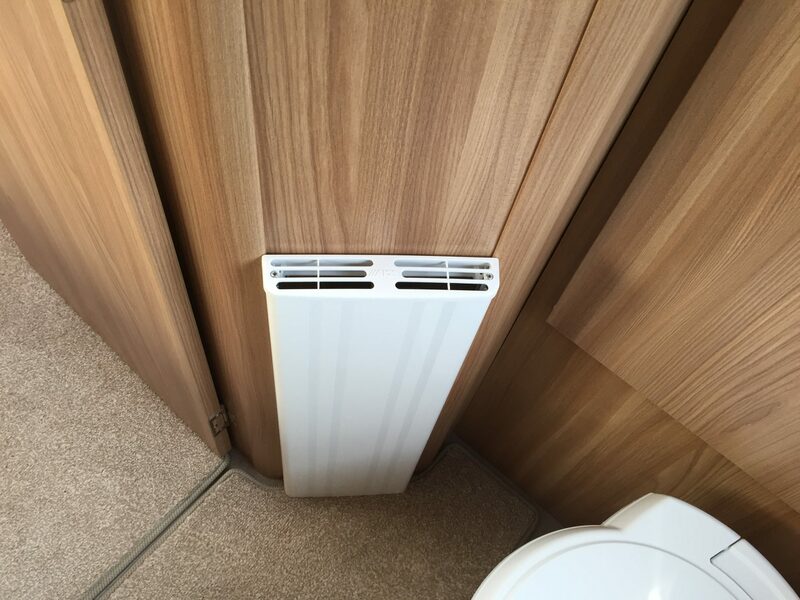 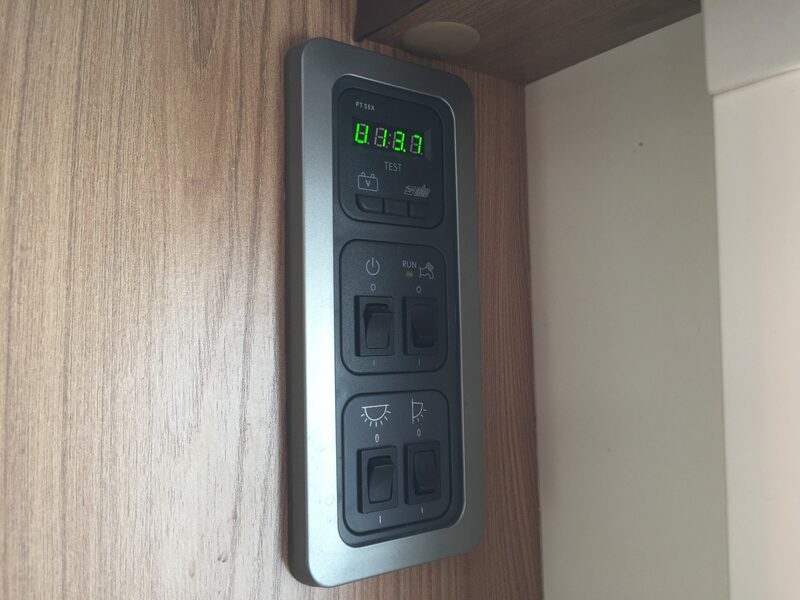 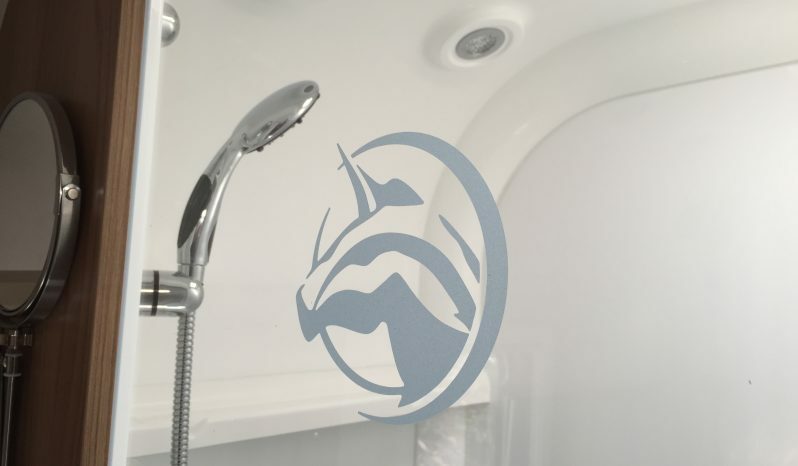 With radiators and water temperature controlled by a user-friendly multi-function touch pad. 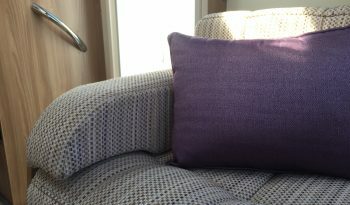 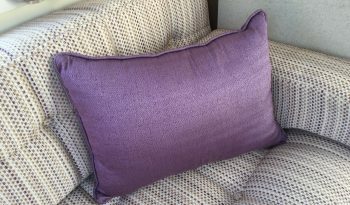 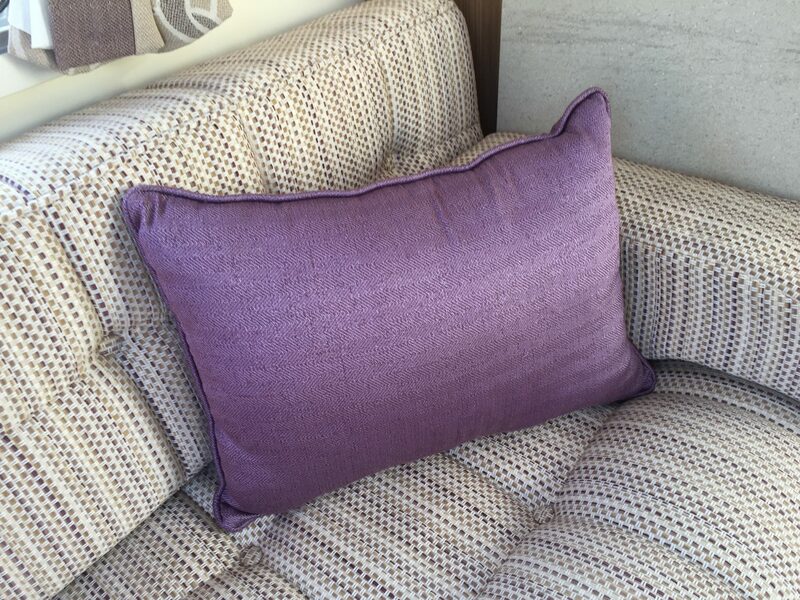 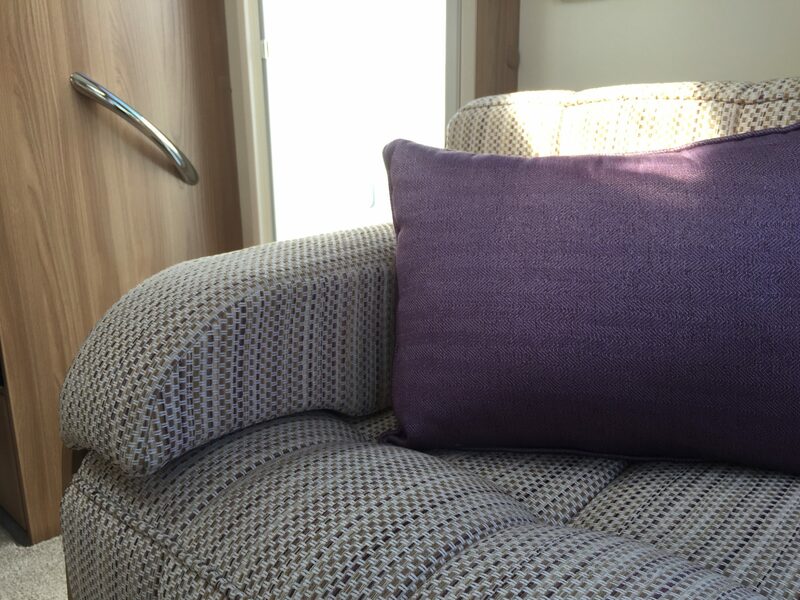 This Unicorn features, “Kensington” soft furnishings with the rich lavender and cream and colours, Bailey “Mendip Ash” furniture. 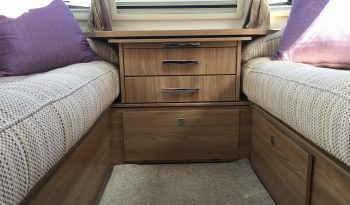 A large 2-drawer front chest with slide out occasional table and soft close drawers, it benefits from loose fit drop in carpets. LED down-lighters and directional spotlights and LED mood lighting through out. 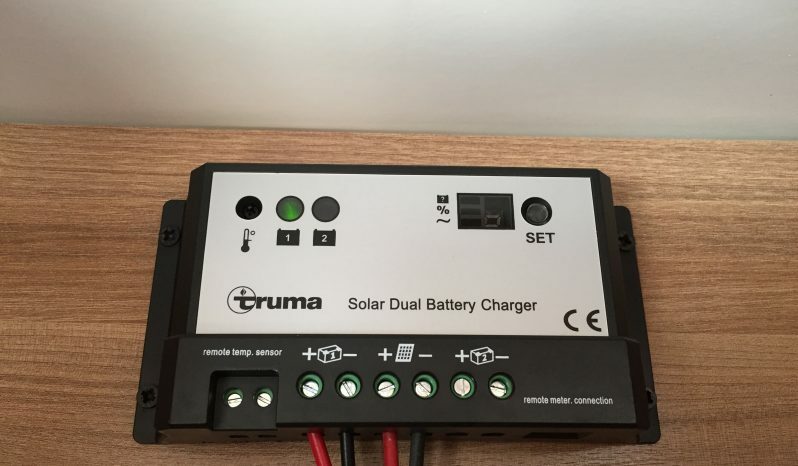 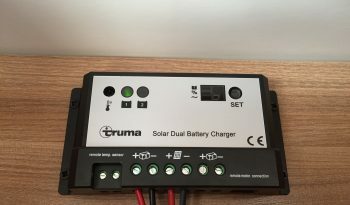 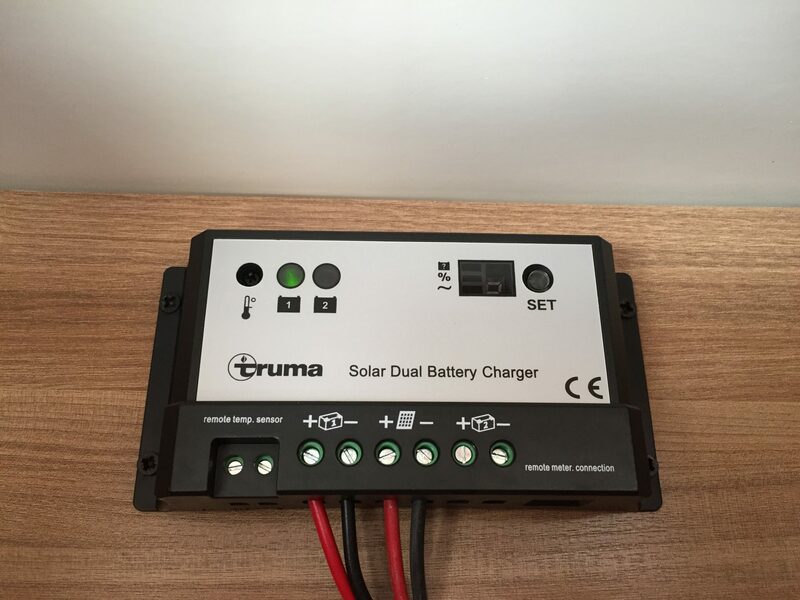 There is a 100W Truma, roof mounted solar panel to keep the leisure battery topped up at all times. A Status 570 telescopic directional digital television aerial, and External satellite connection point add to the specifications. 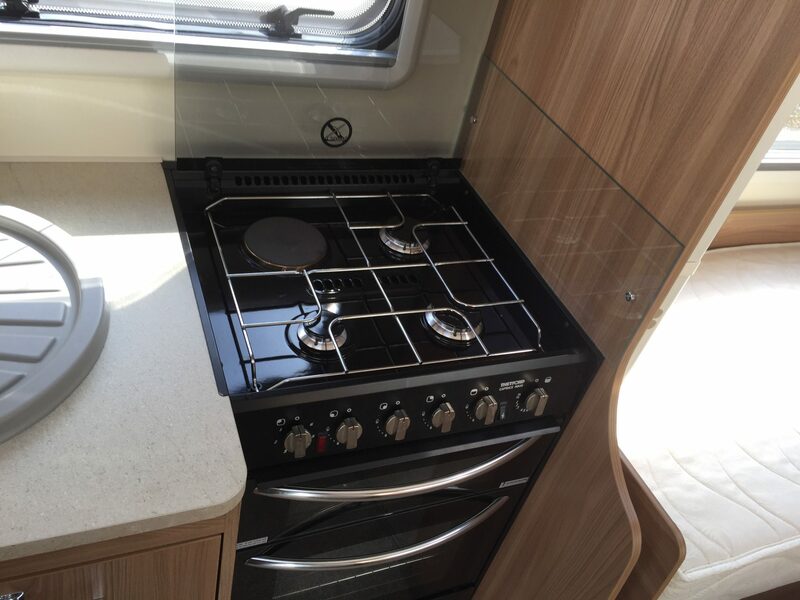 The central kitchen has a full gas oven with 3 burner hob and electric hot plate, as well as an 800w stainless steel microwave which is located in the lockers above. 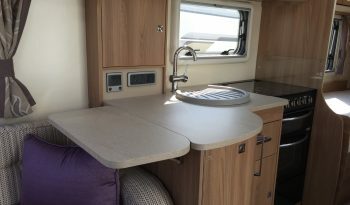 There is an extra fold down flap on the end of the work top to add working space. 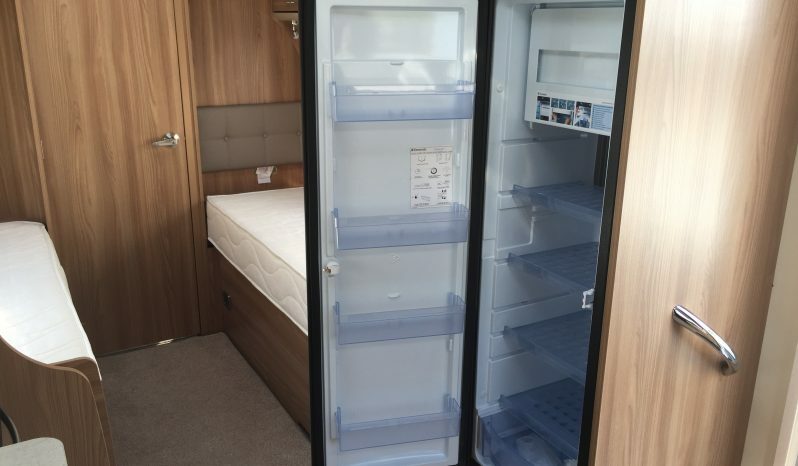 The large tower refrigerator/freezer sits opposite. 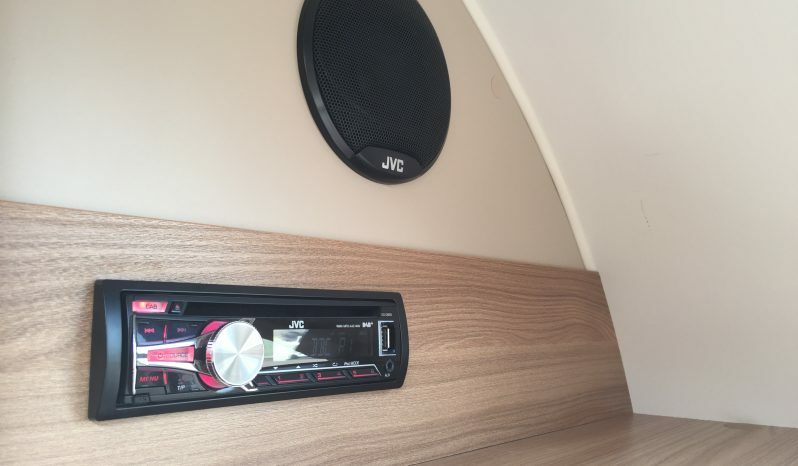 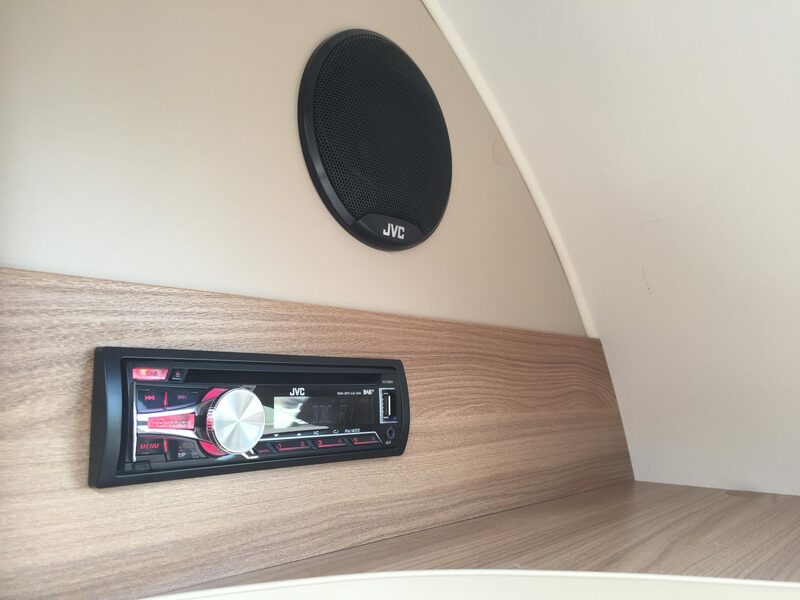 There is a DAB Radio/CD/MP3 player with USB connection point with twin speakers. 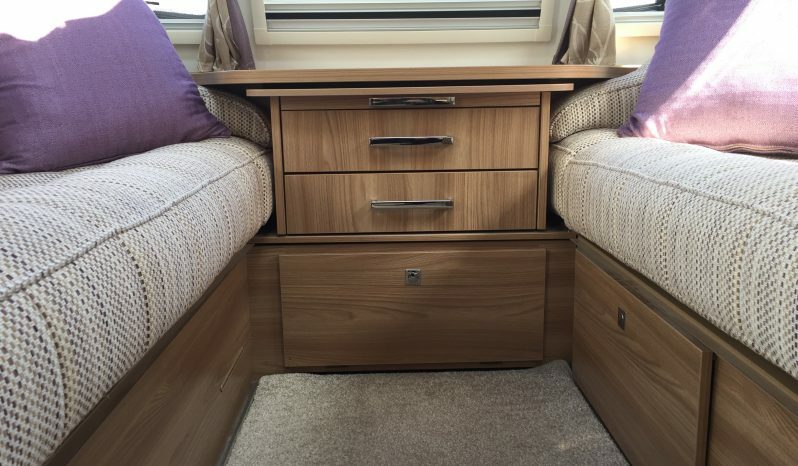 Twin single beds which have huge amounts of storage below. 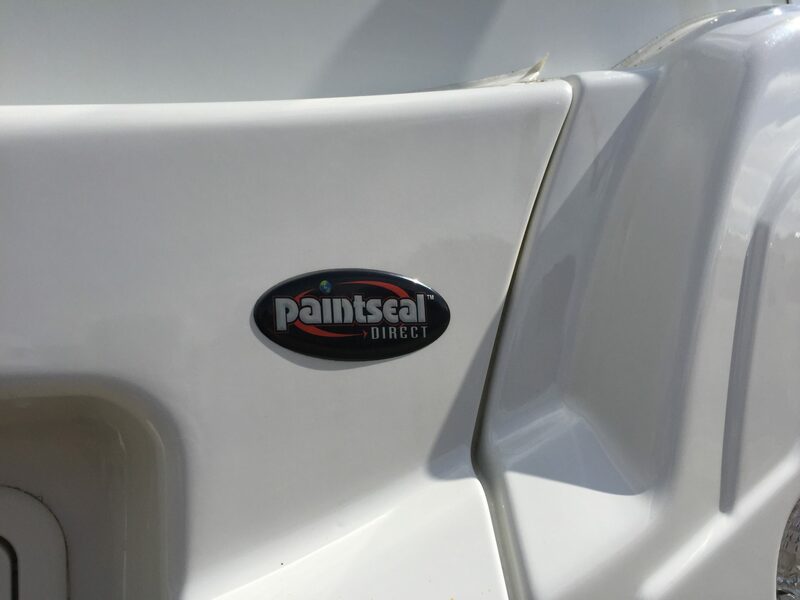 Exterior lockers allow better access with easy clean wet trays for muddy items. 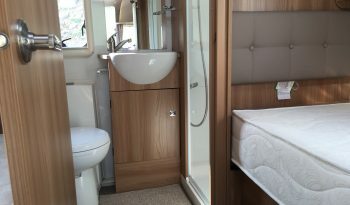 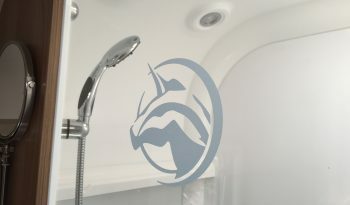 The end wash room is has a radiator, large wardrobe, hand basin with mixer tap and fully lined shower cubicle with hanging rail over the shower tray. 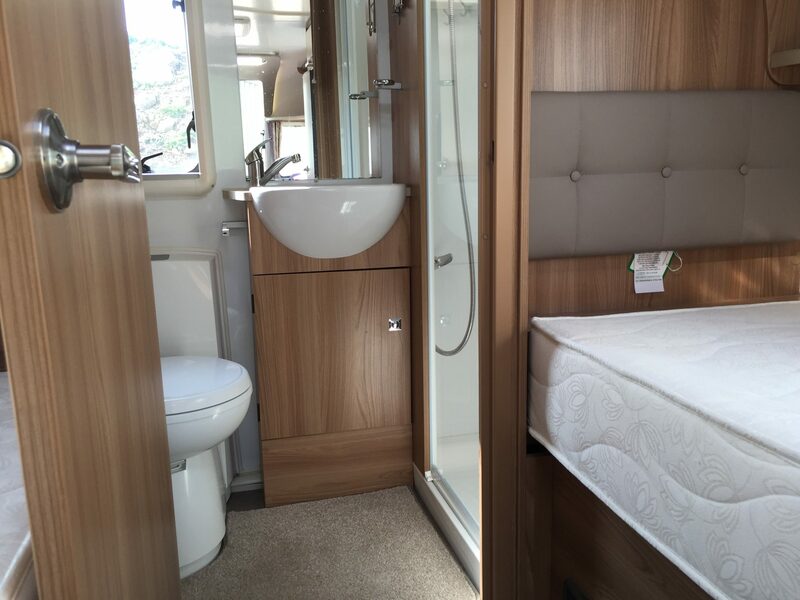 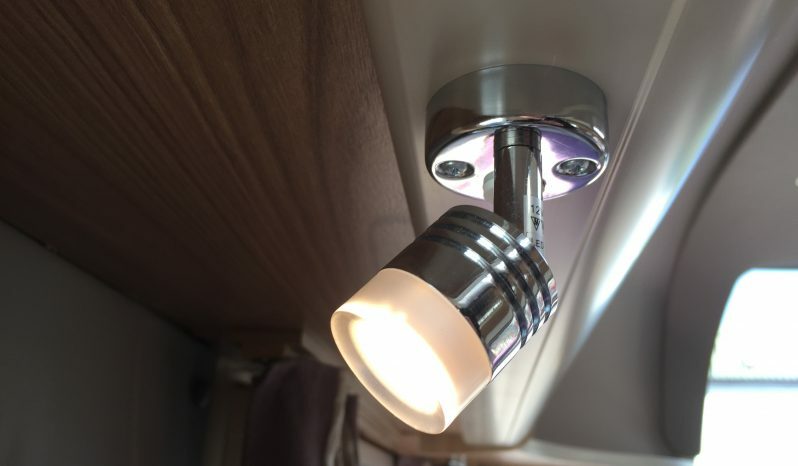 A stunning, luxury caravan for couples that is spacious modern. 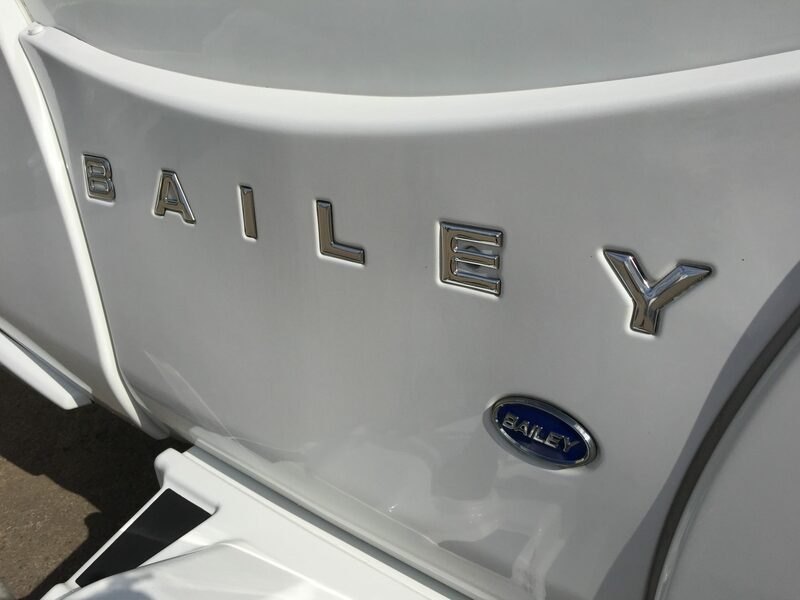 It’s not always about the price, make sure the dealer you buy from is interested in you. 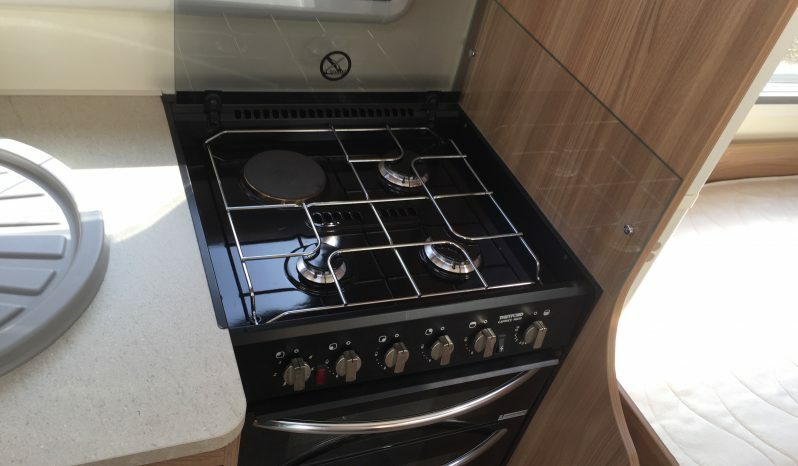 Sold with 6 months “no quibble” warranty – cost option to upgrade.